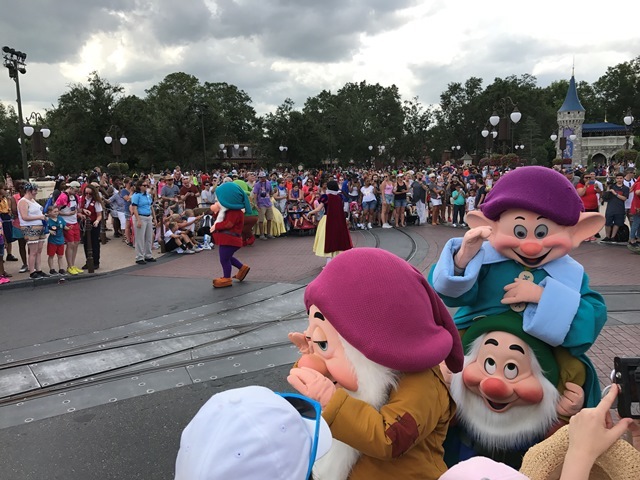 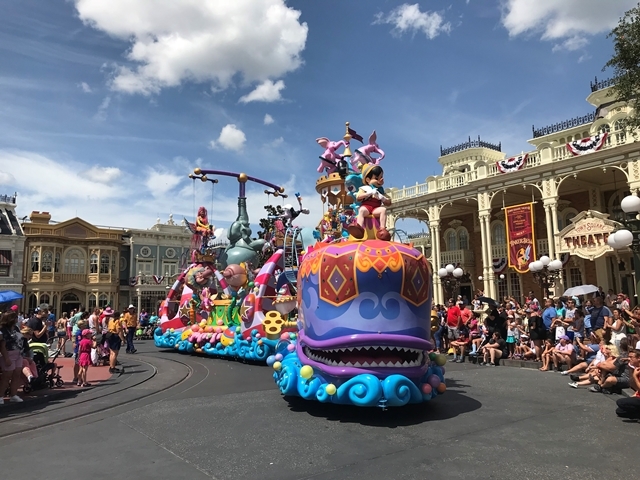 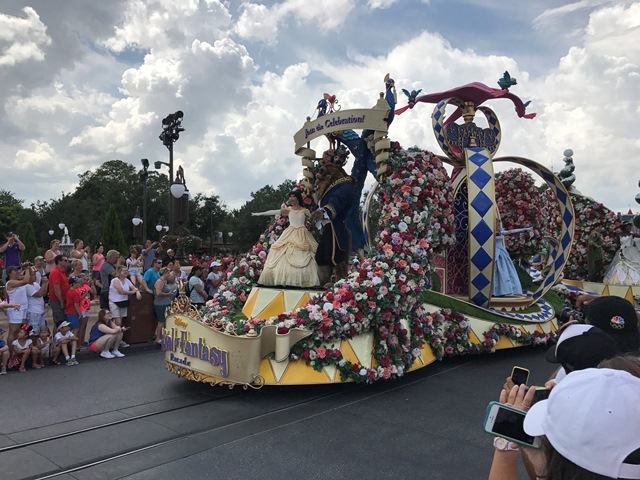 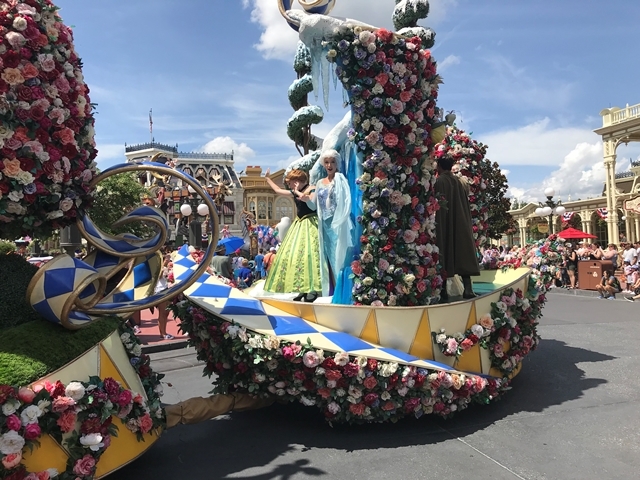 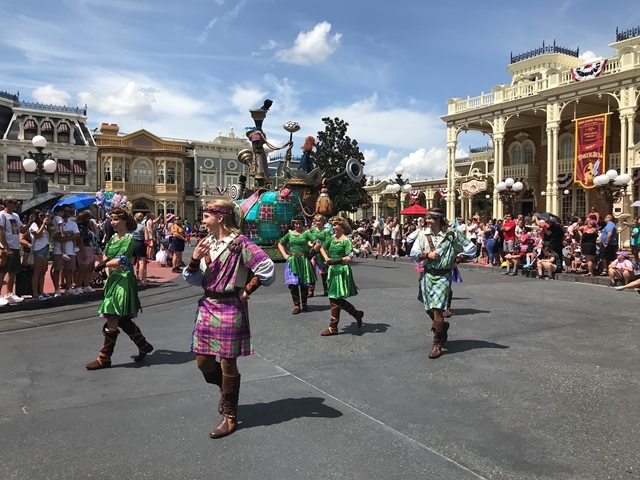 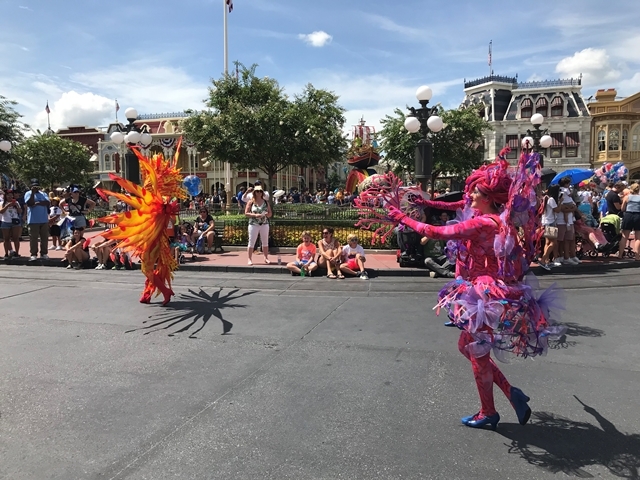 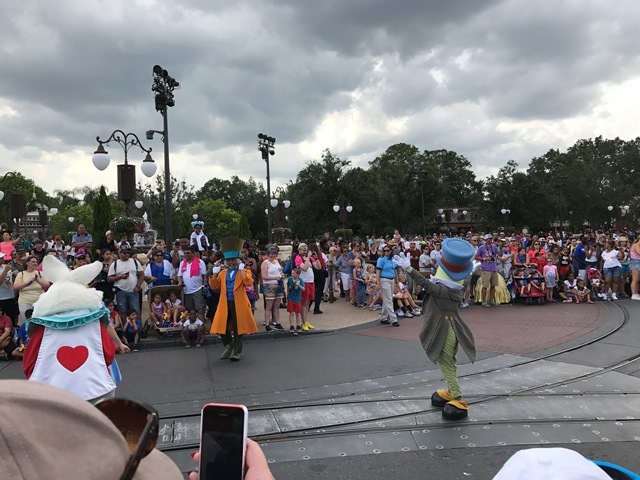 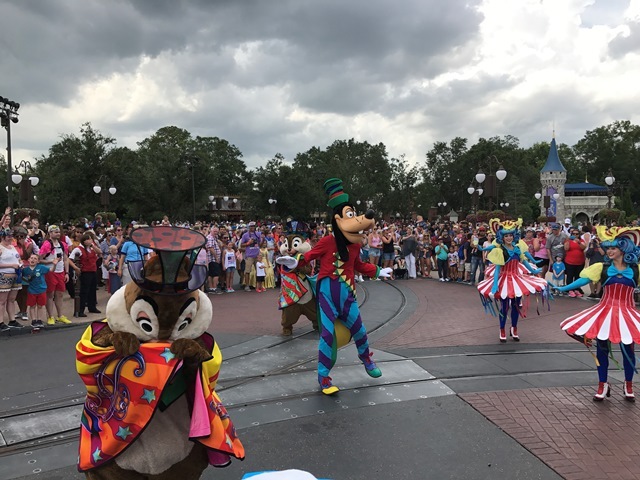 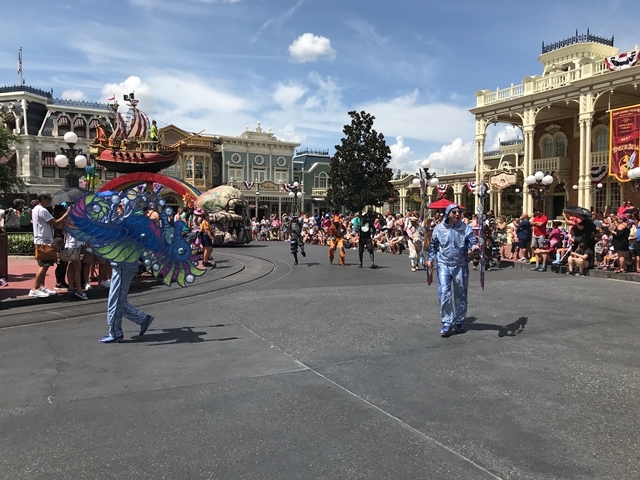 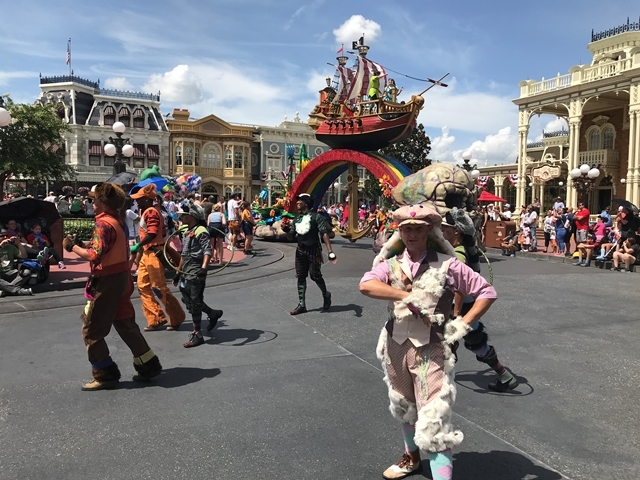 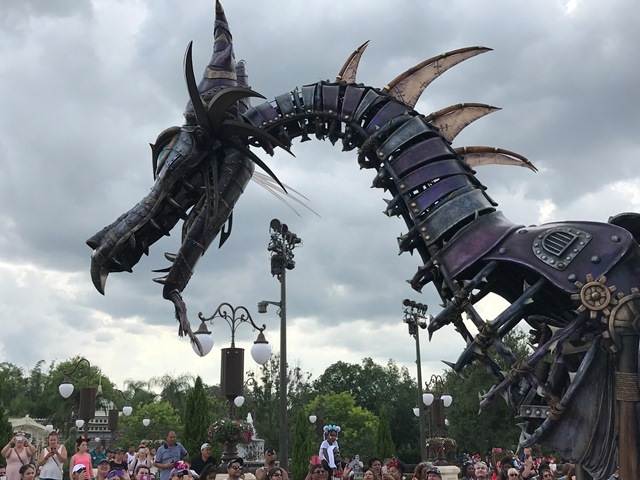 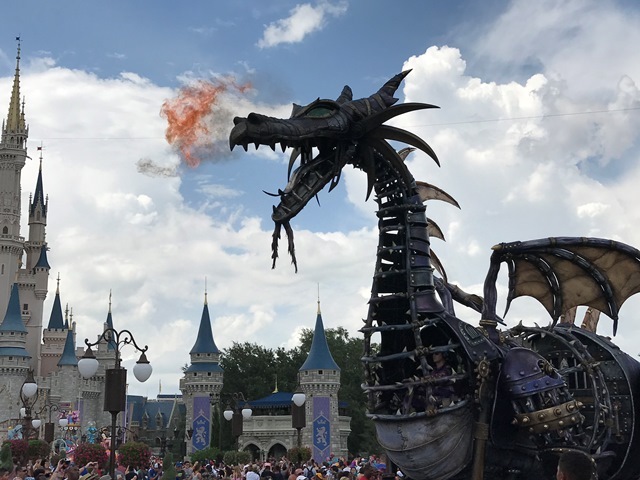 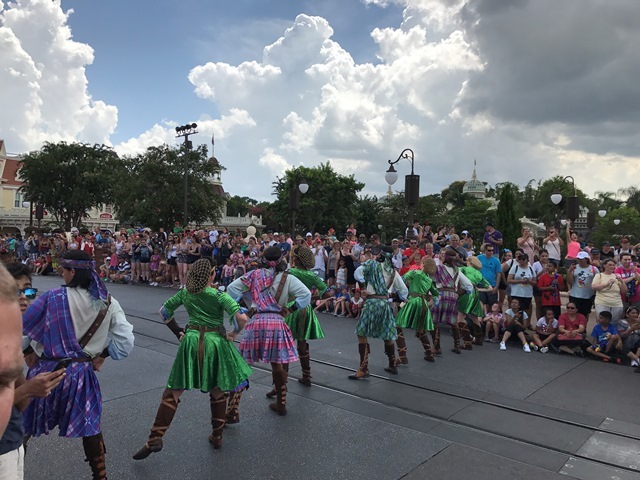 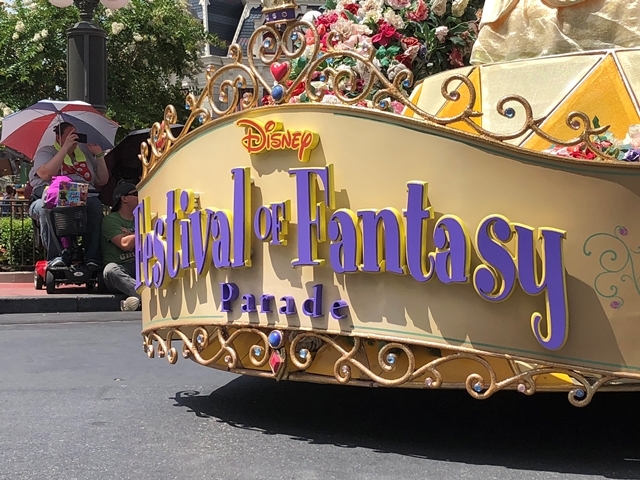 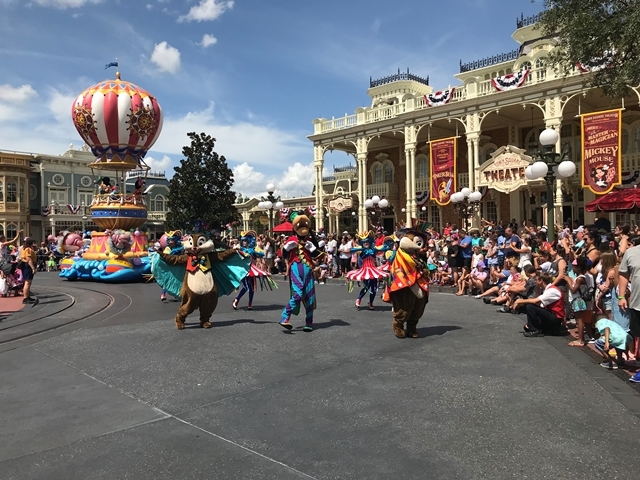 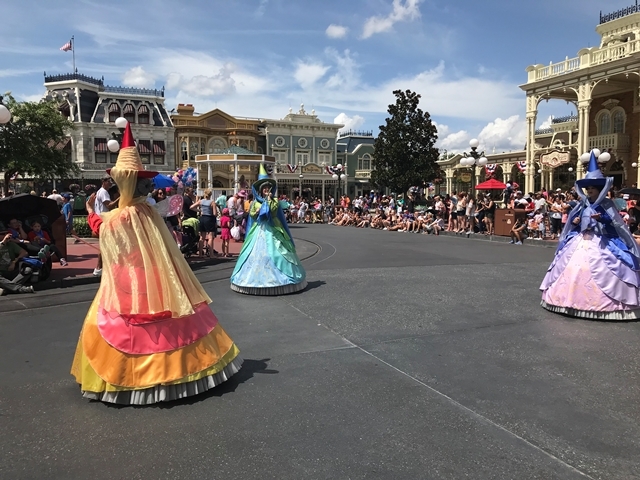 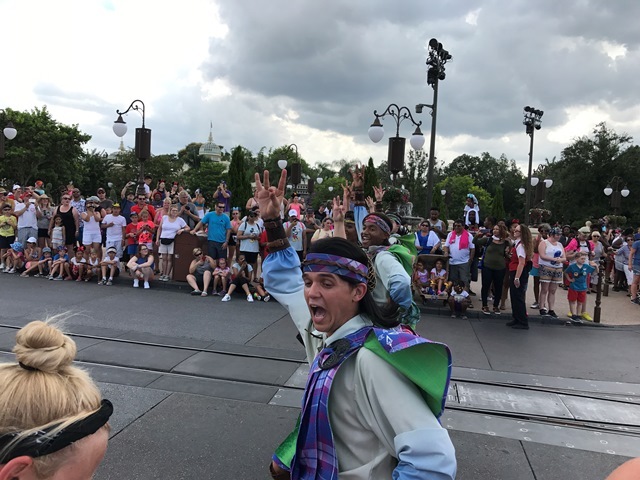 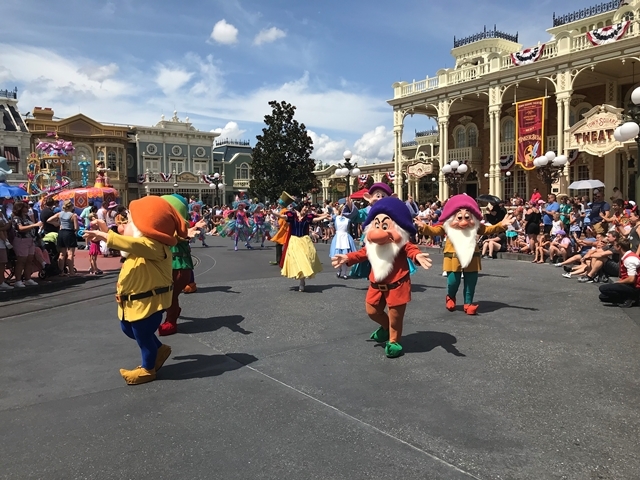 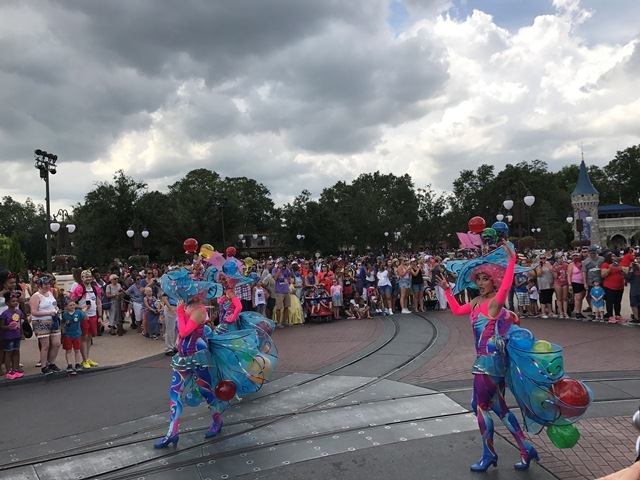 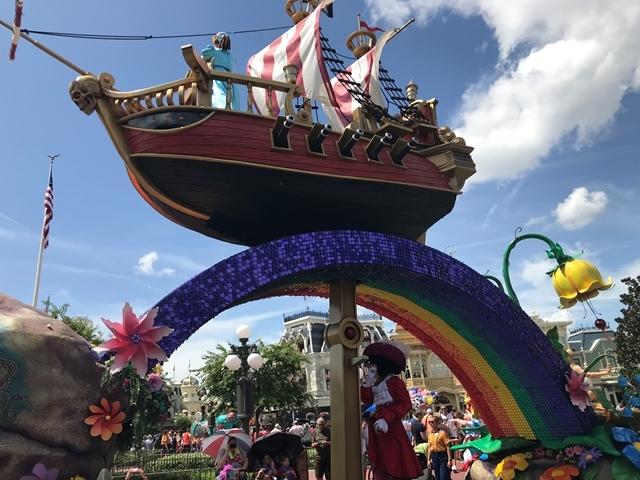 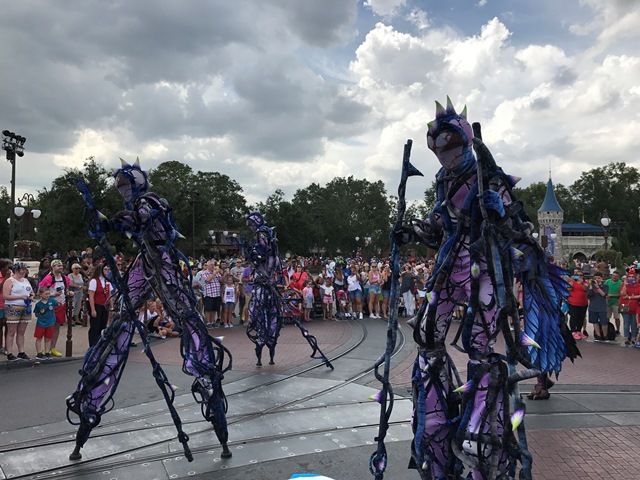 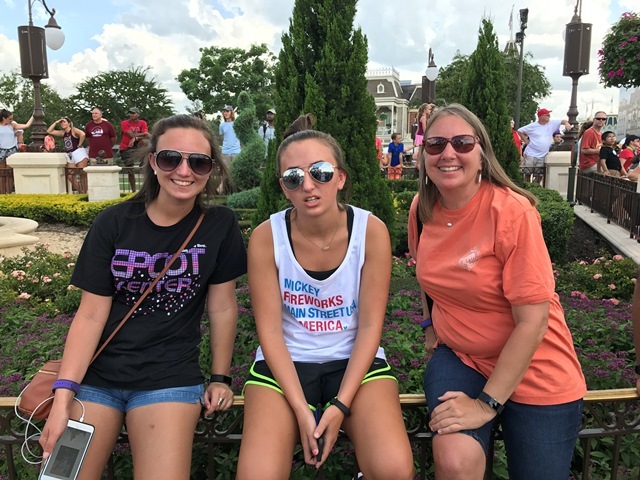 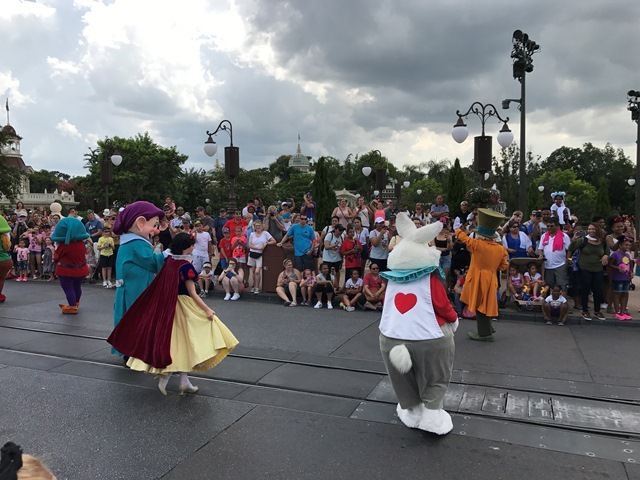 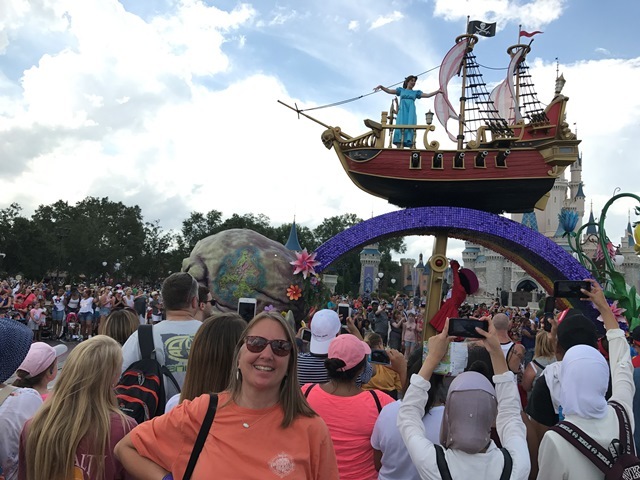 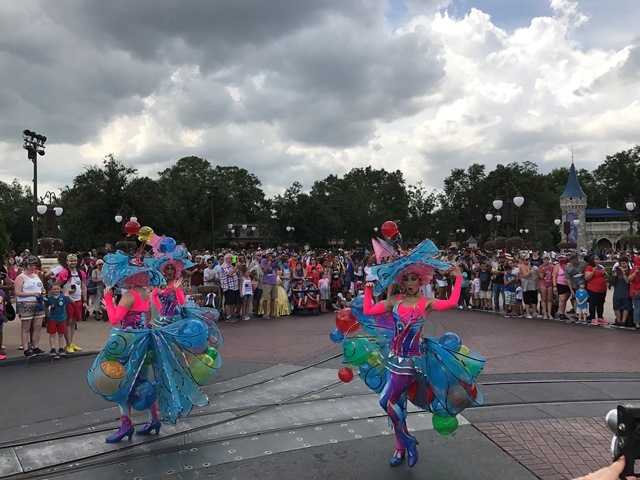 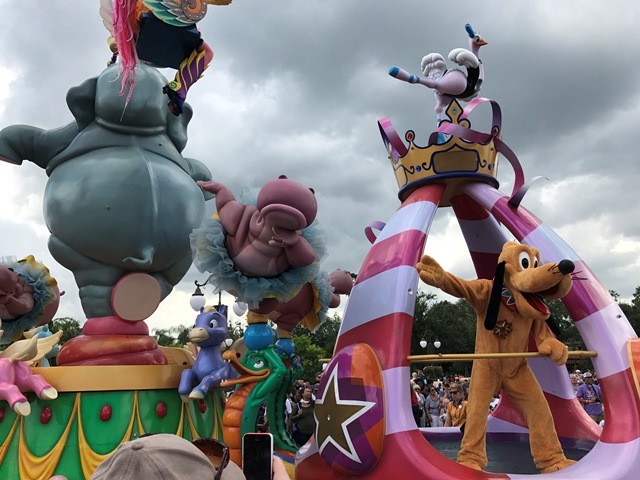 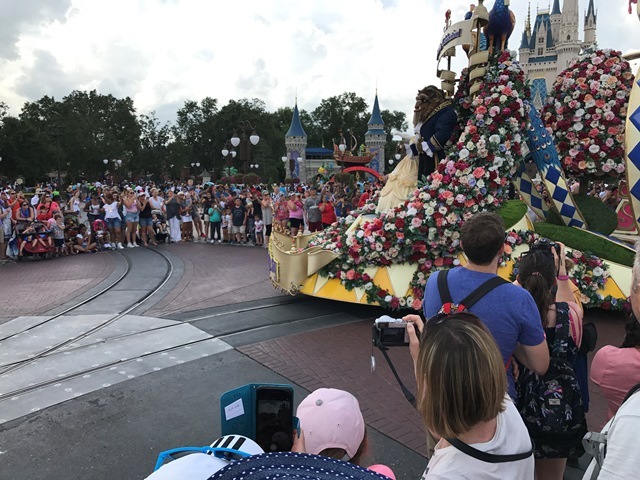 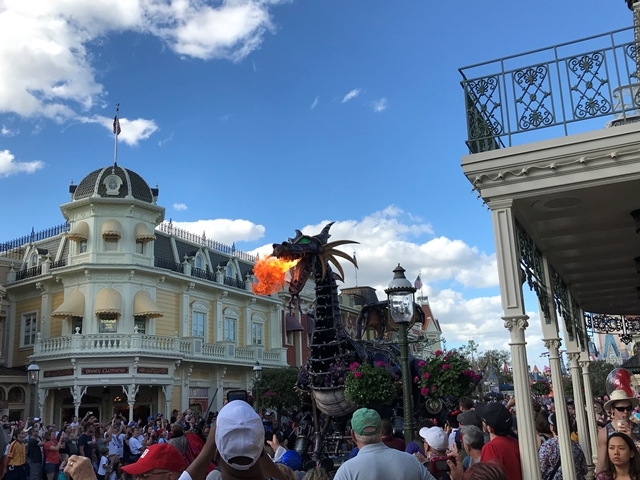 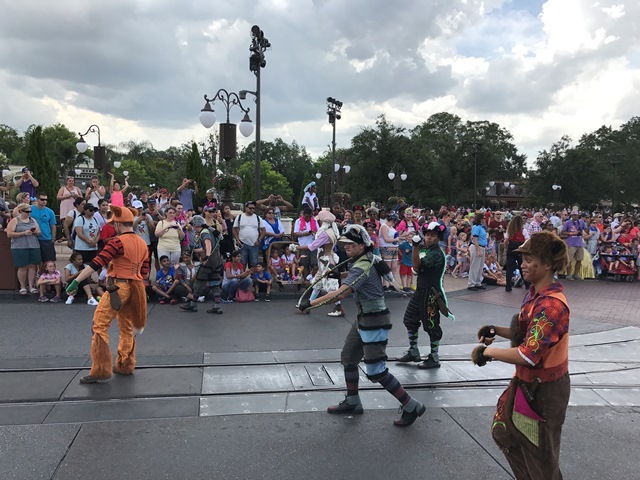 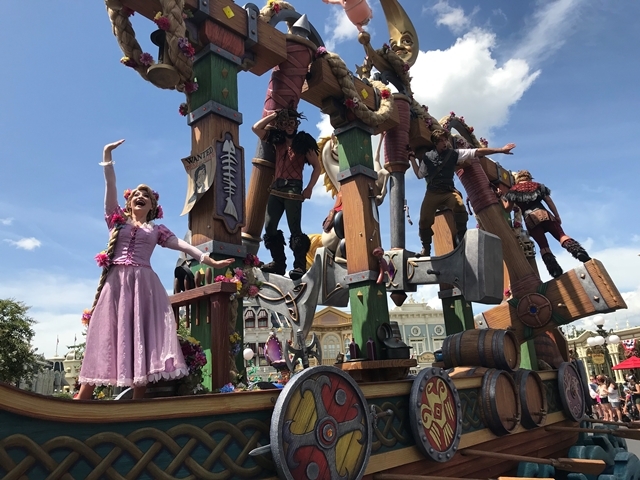 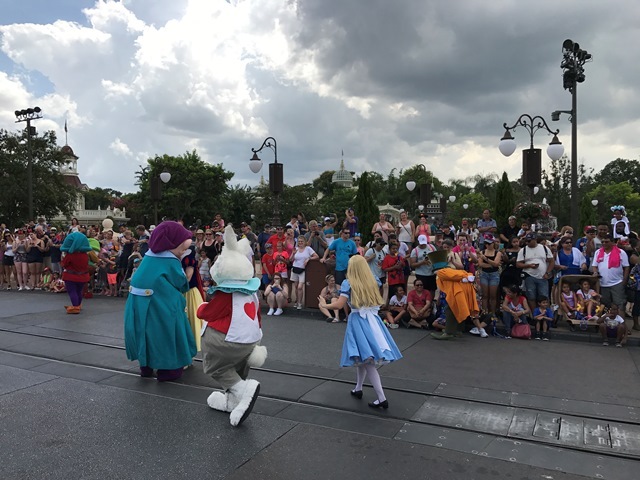 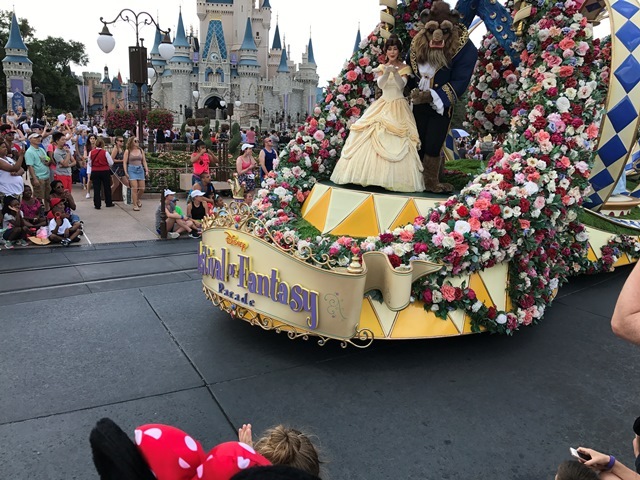 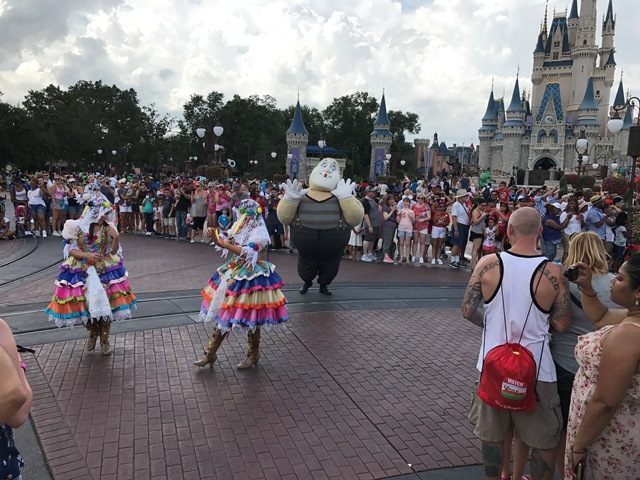 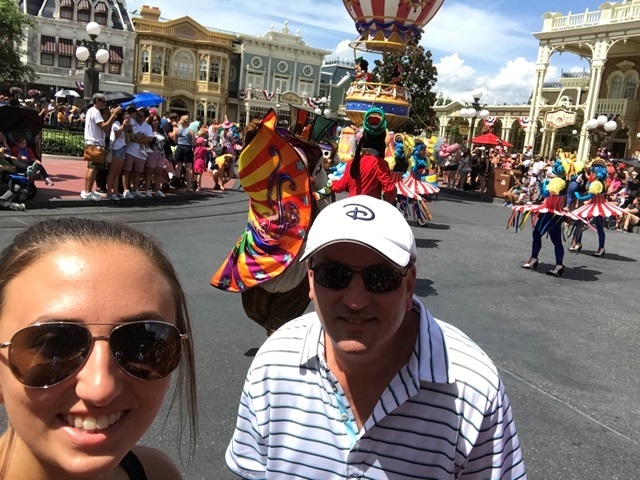 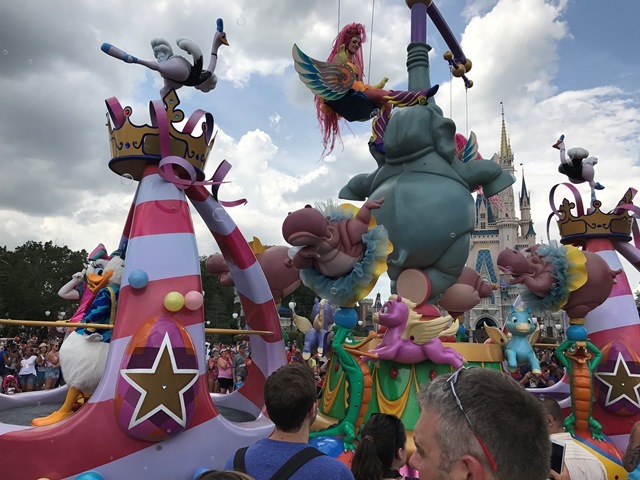 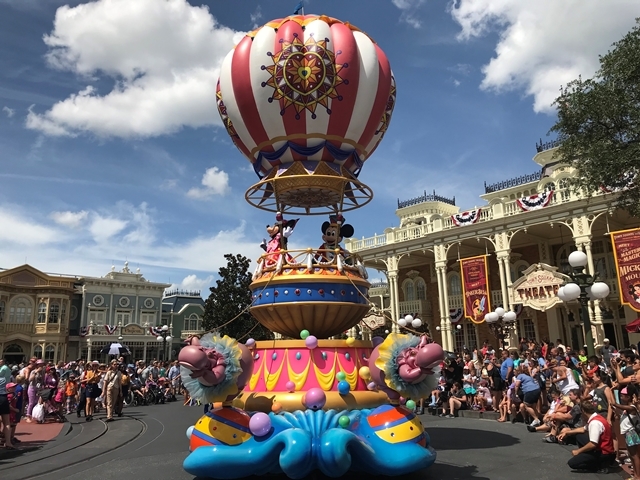 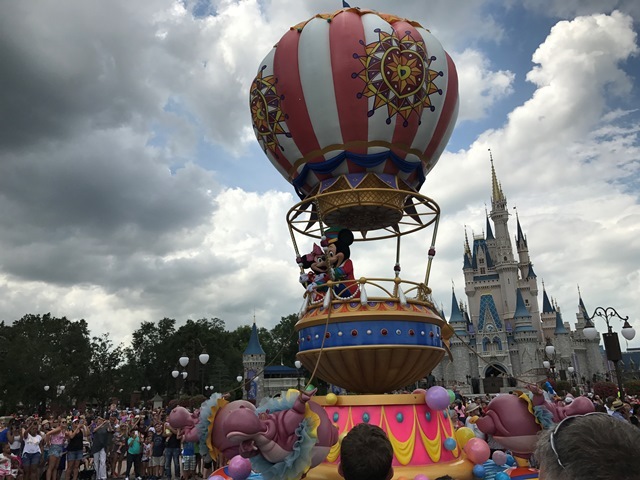 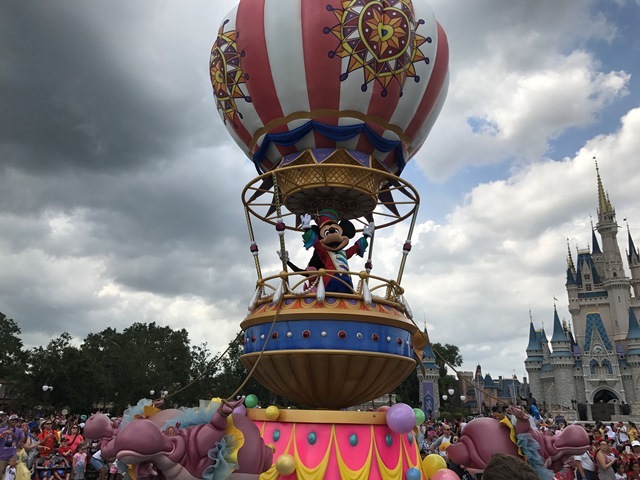 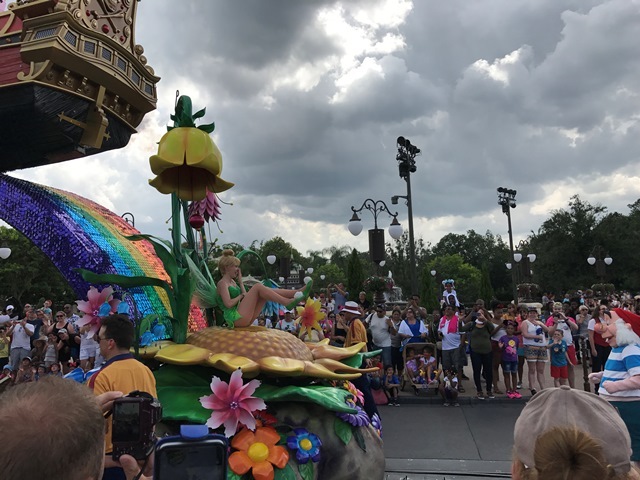 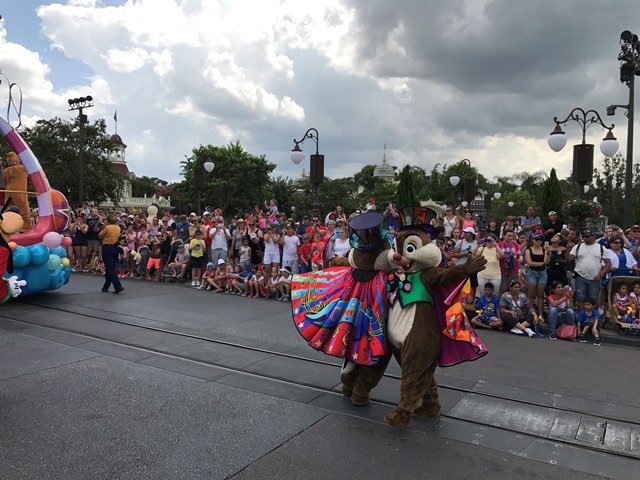 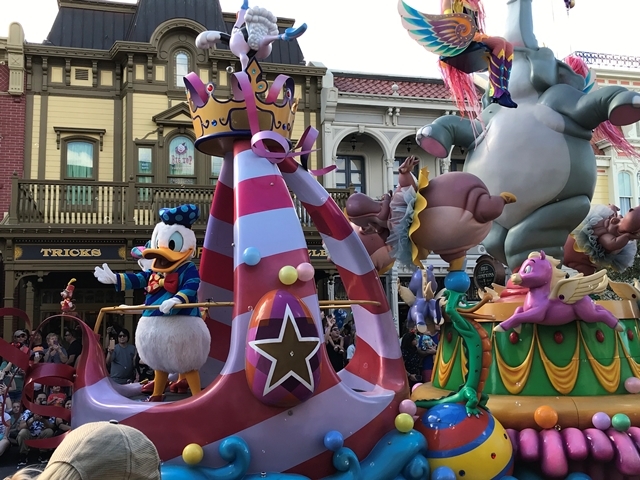 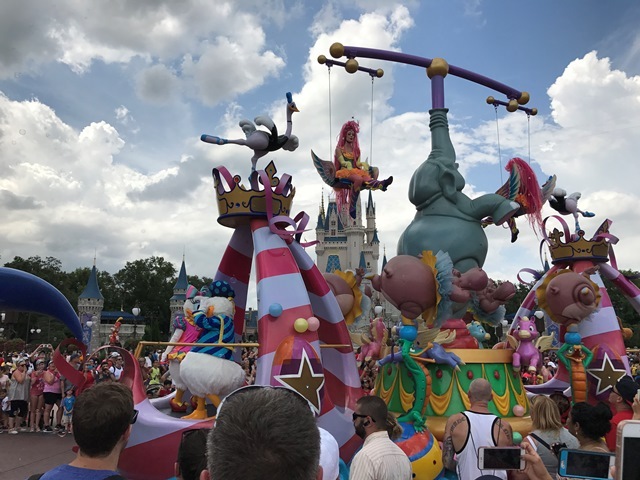 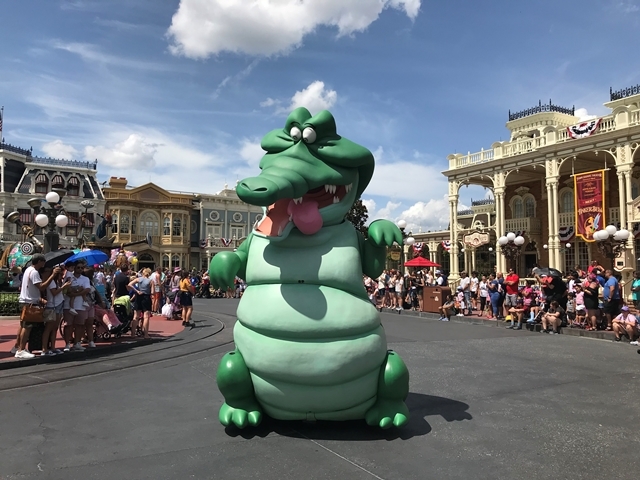 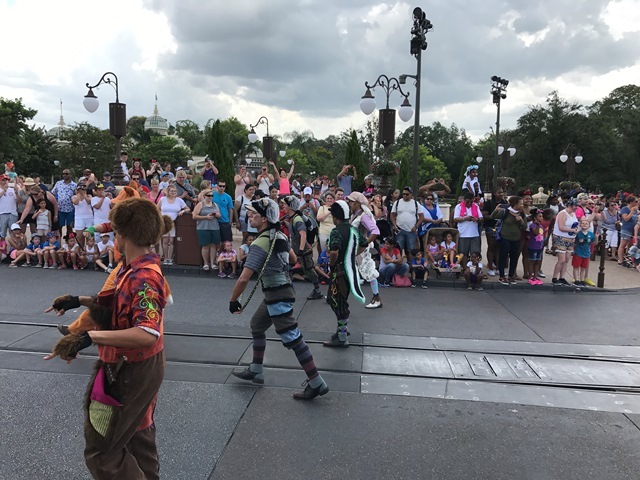 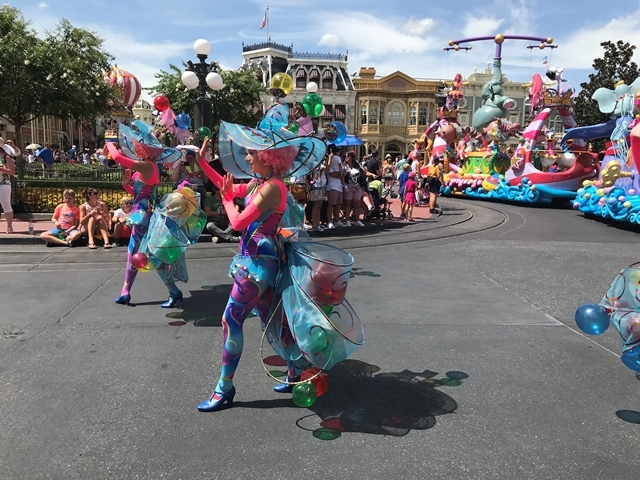 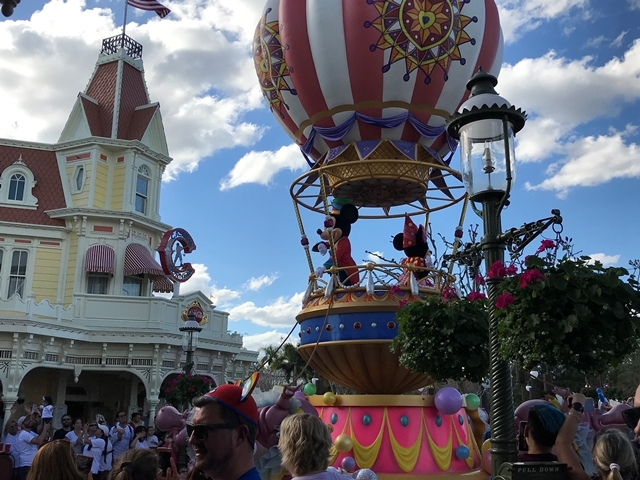 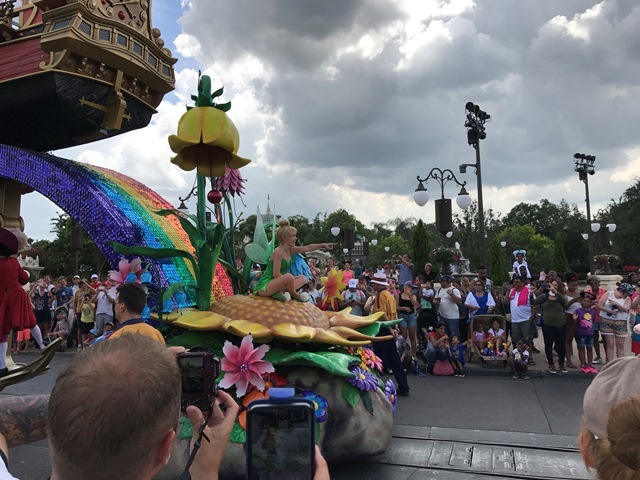 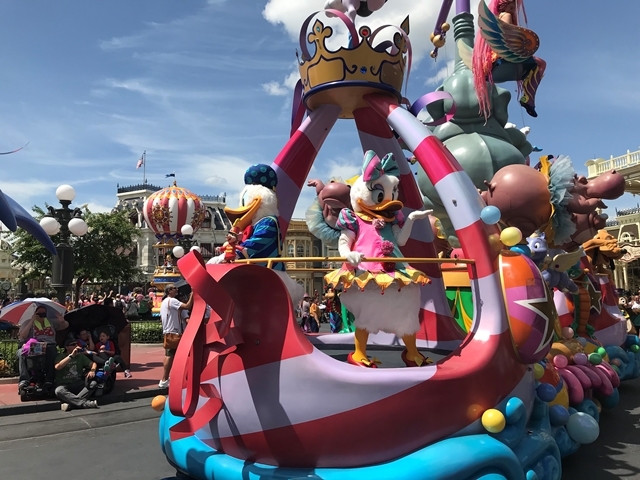 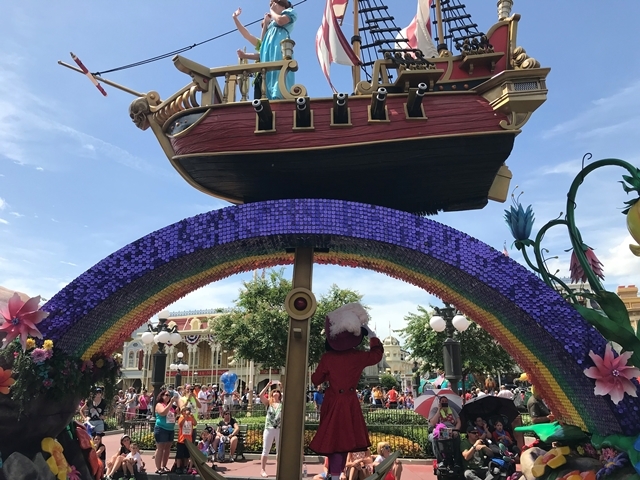 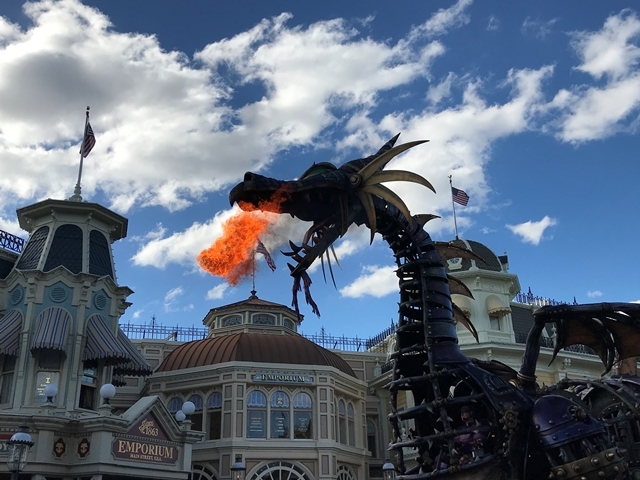 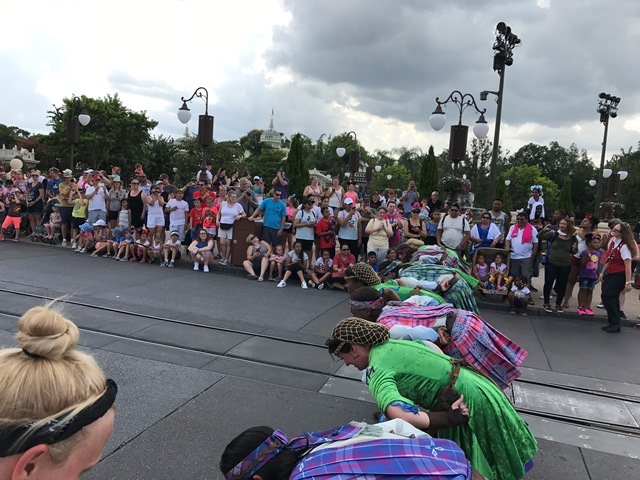 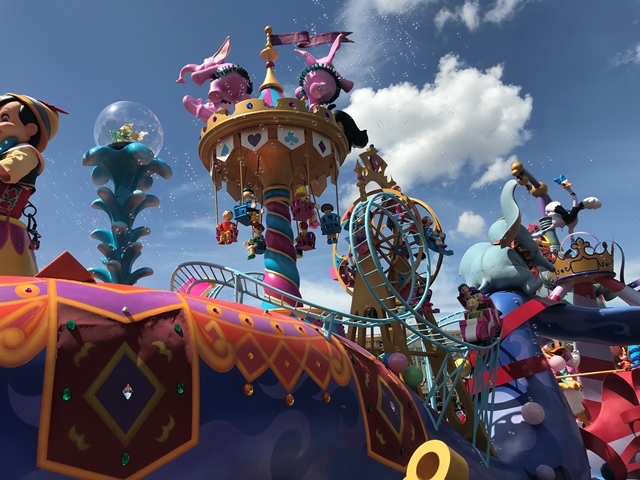 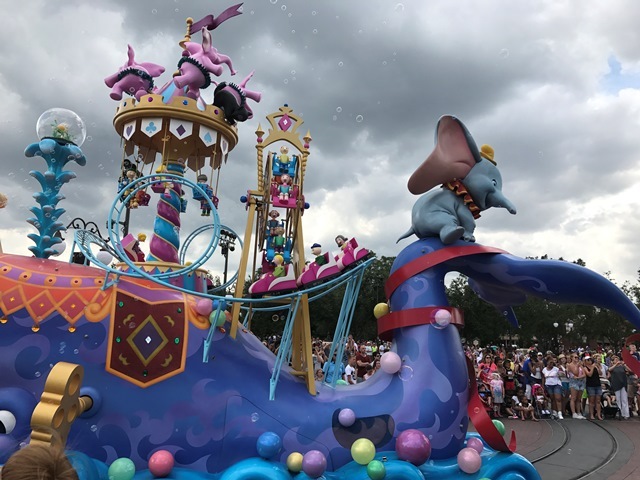 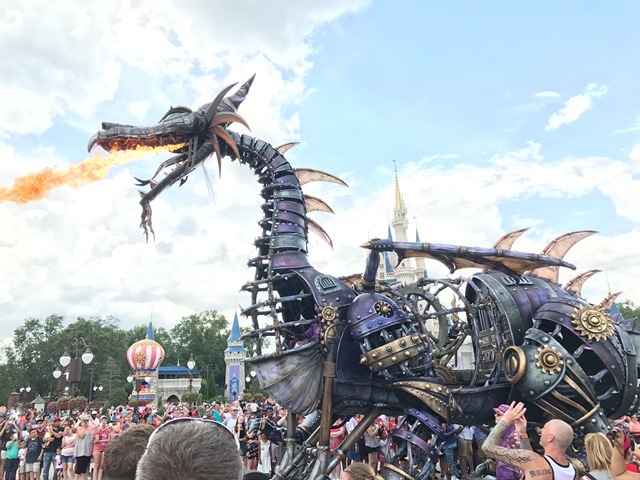 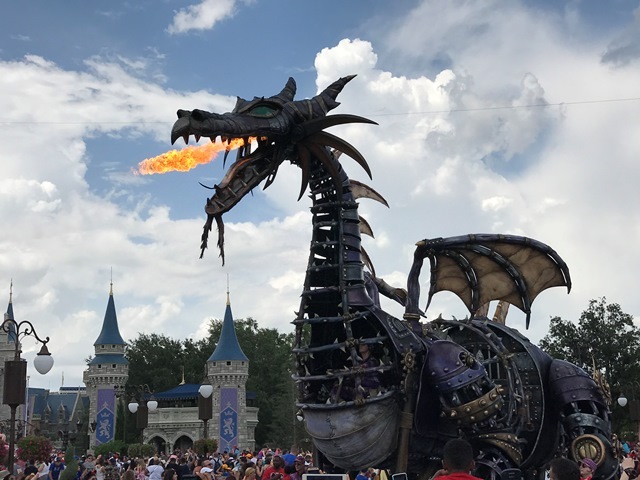 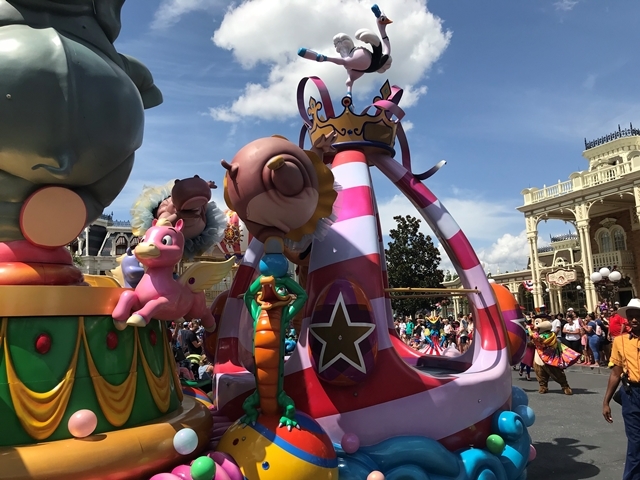 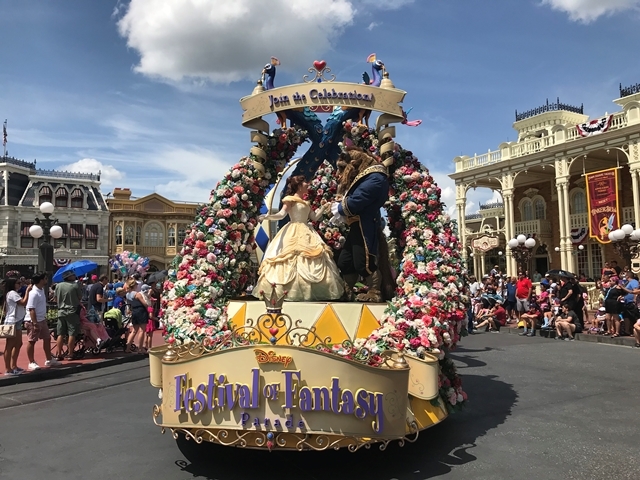 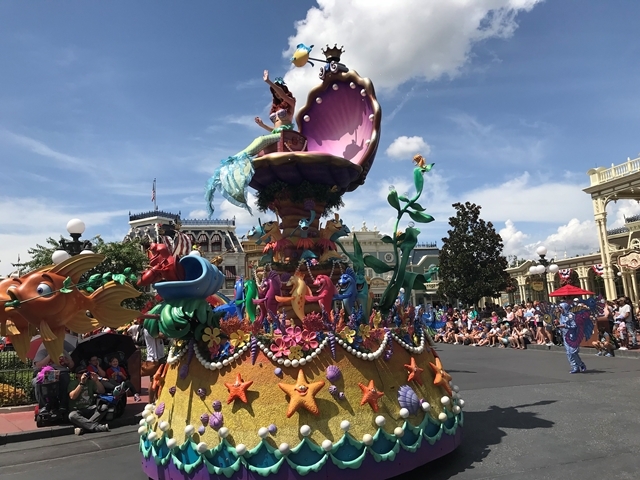 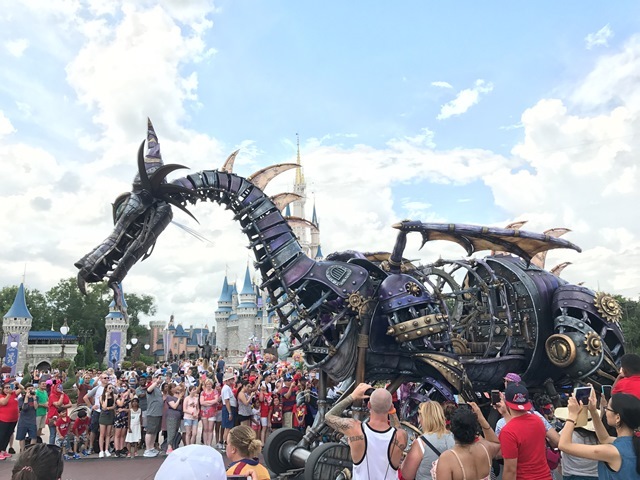 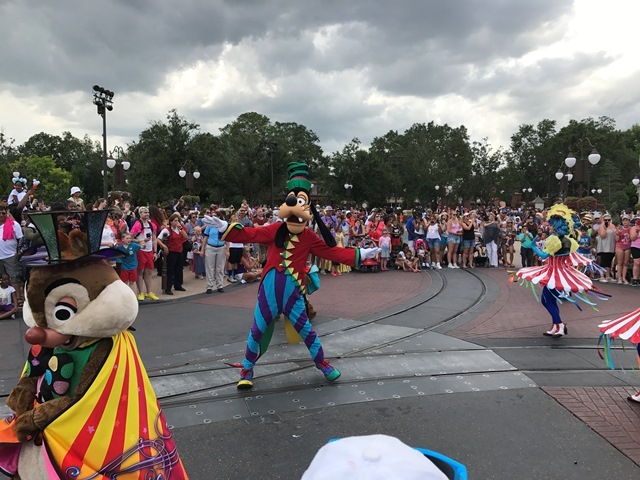 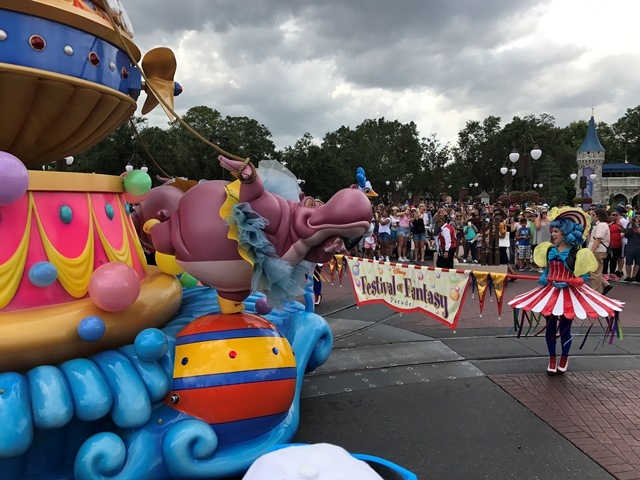 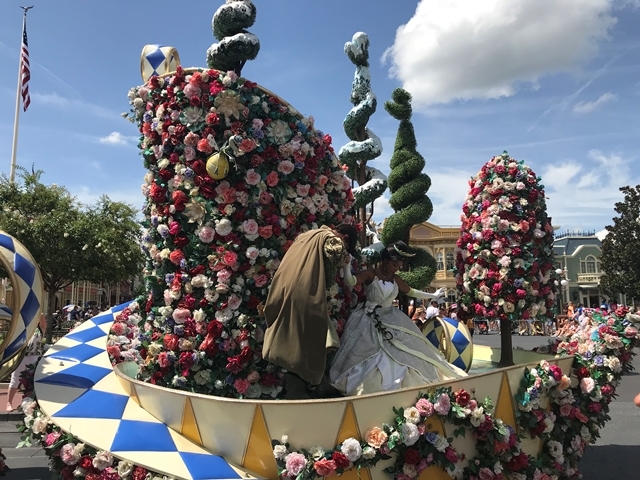 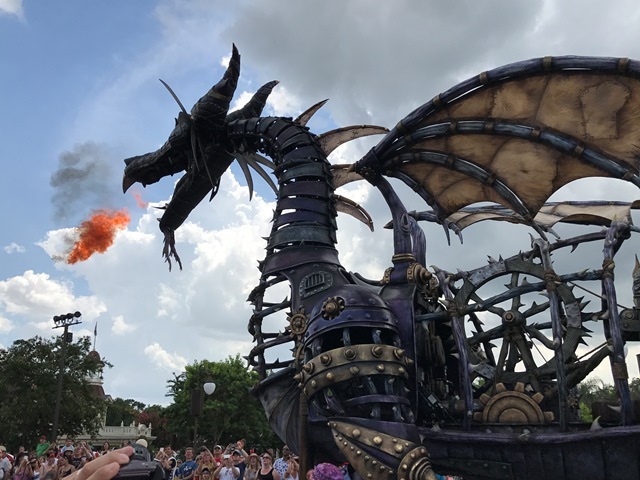 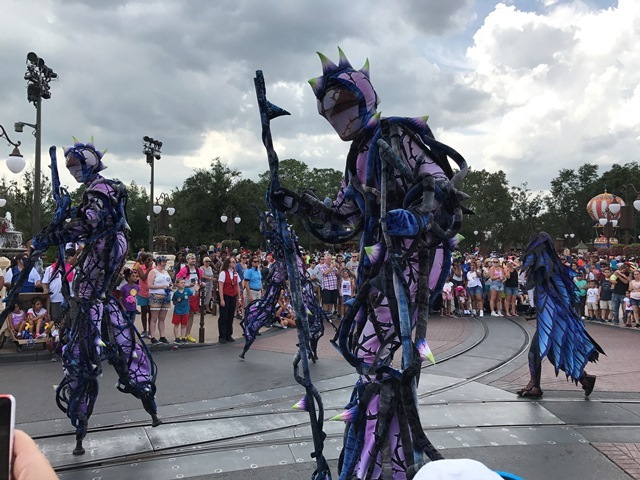 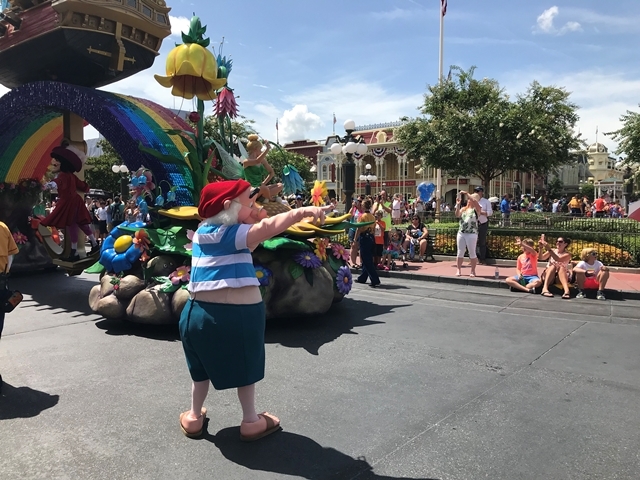 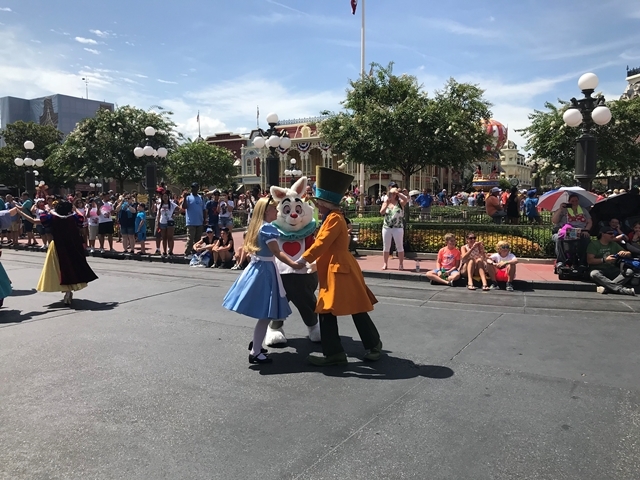 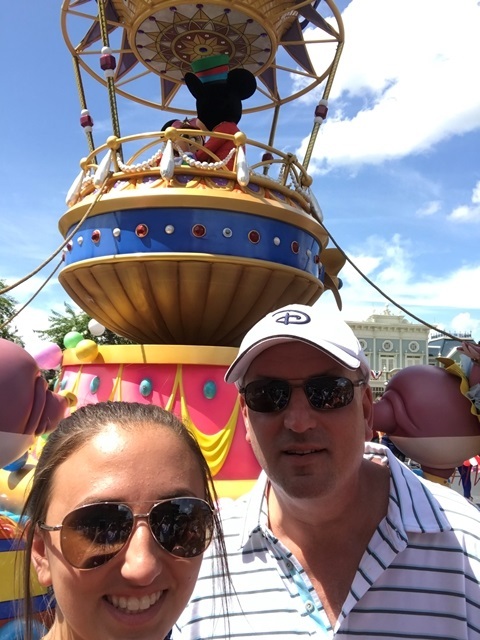 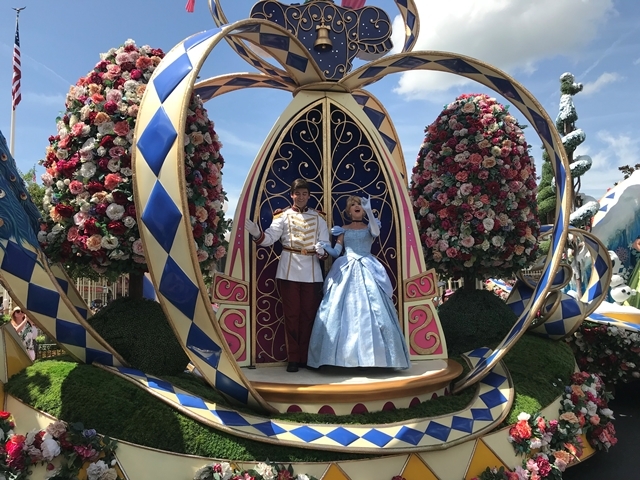 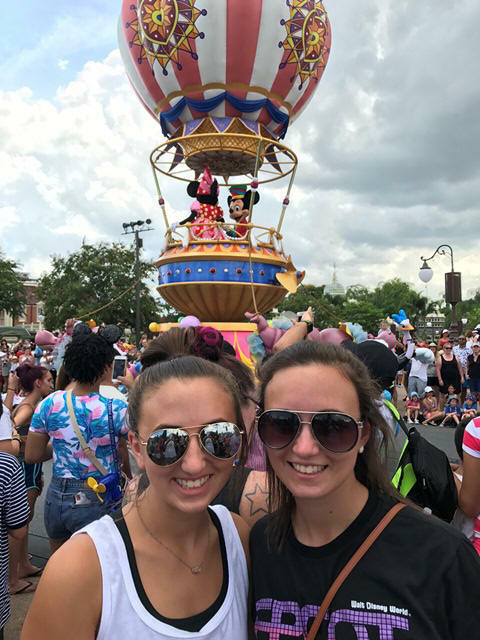 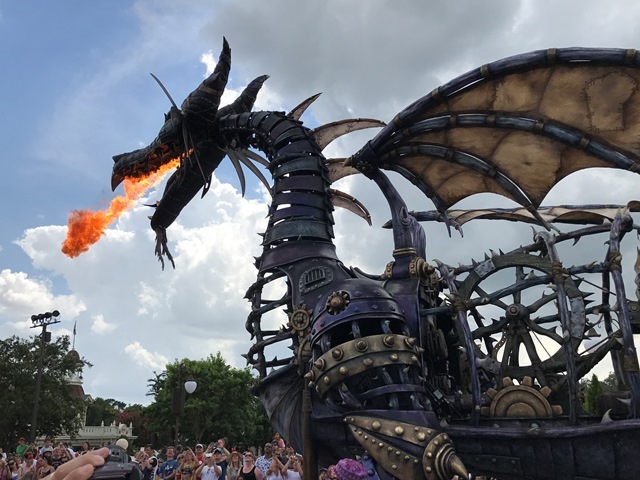 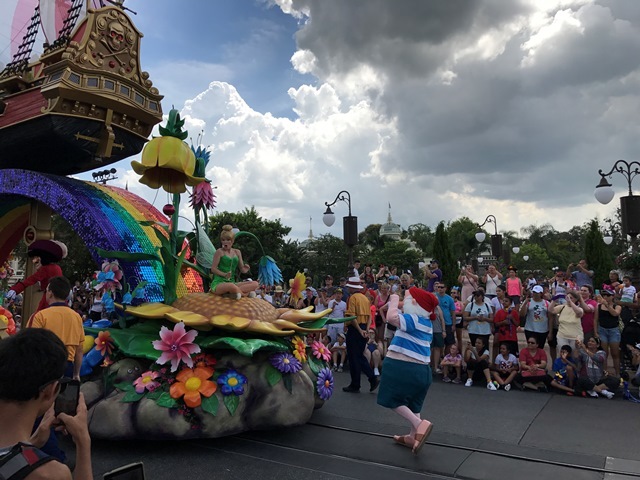 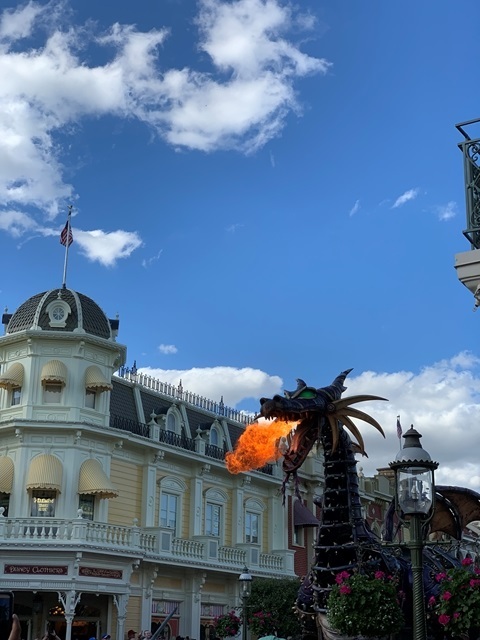 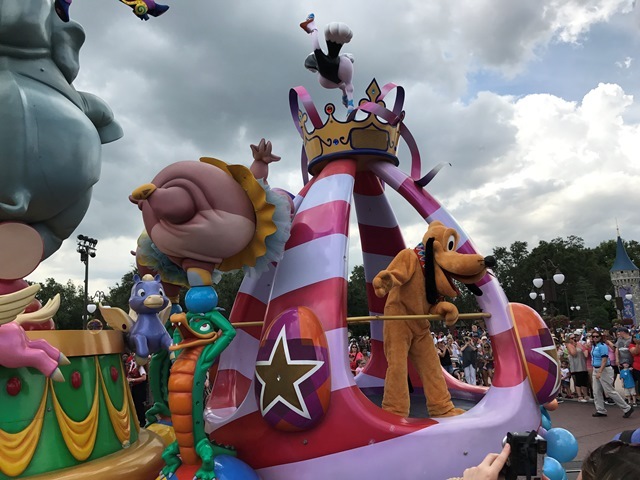 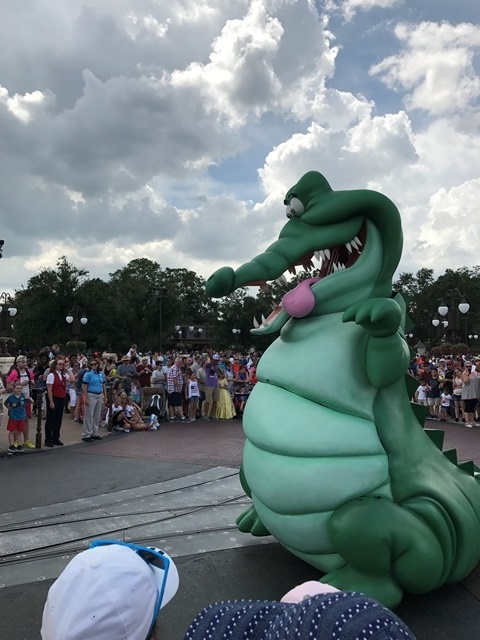 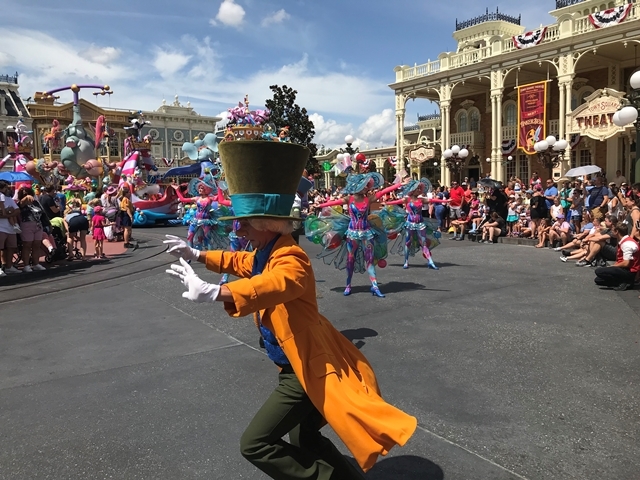 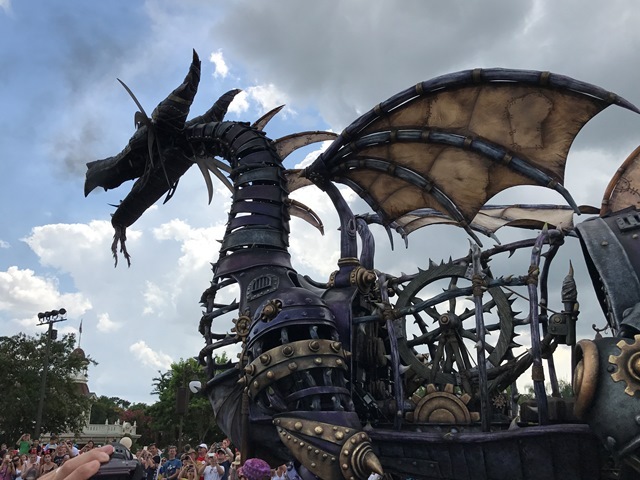 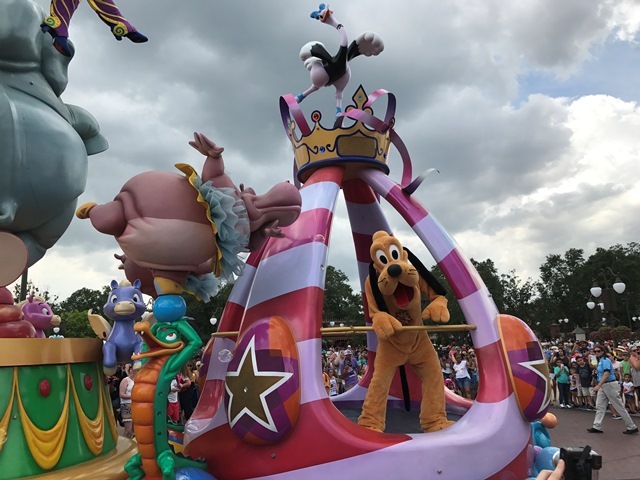 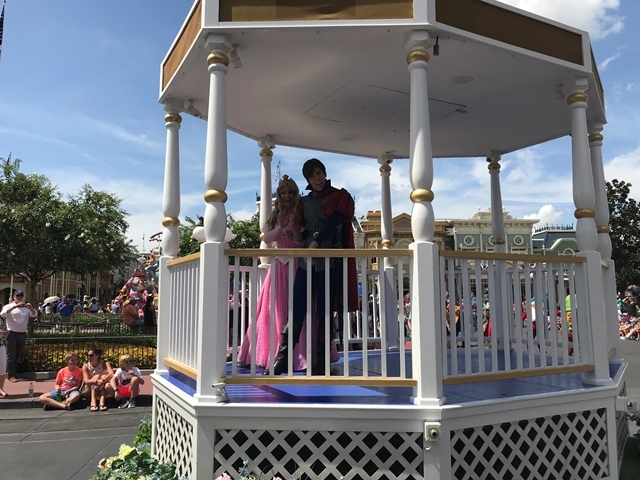 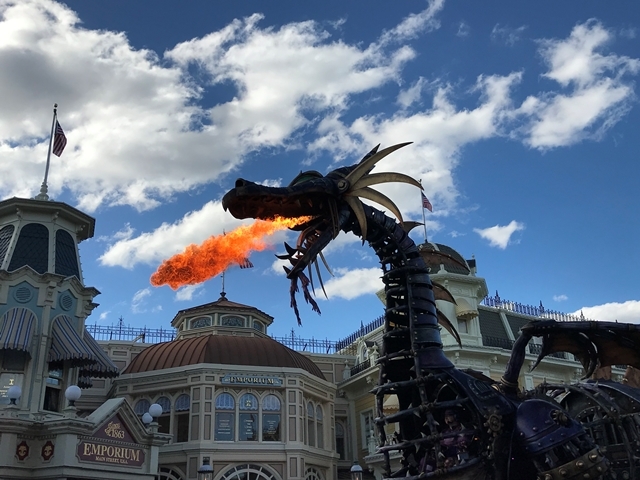 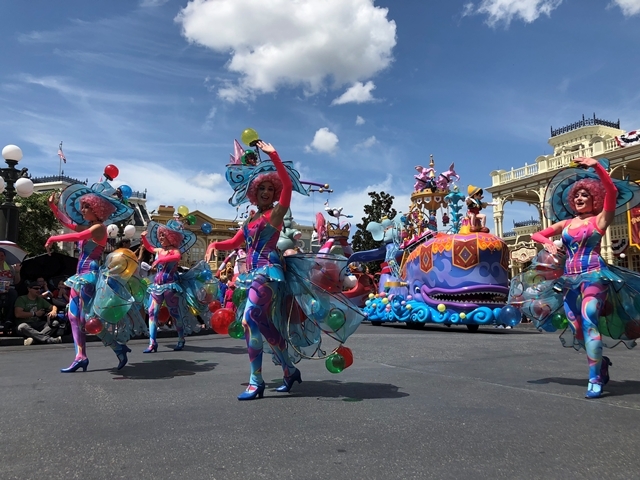 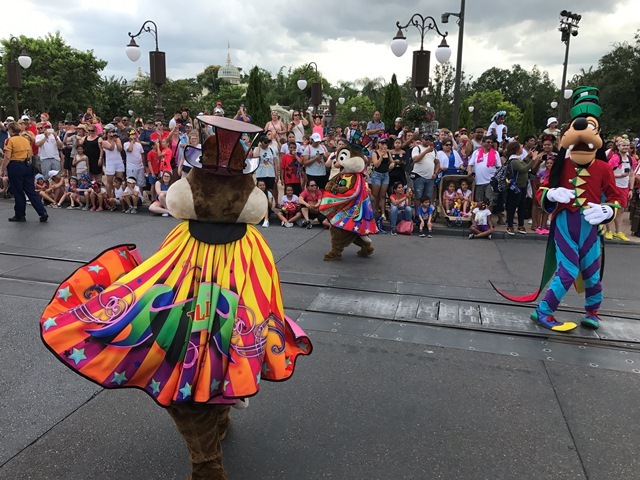 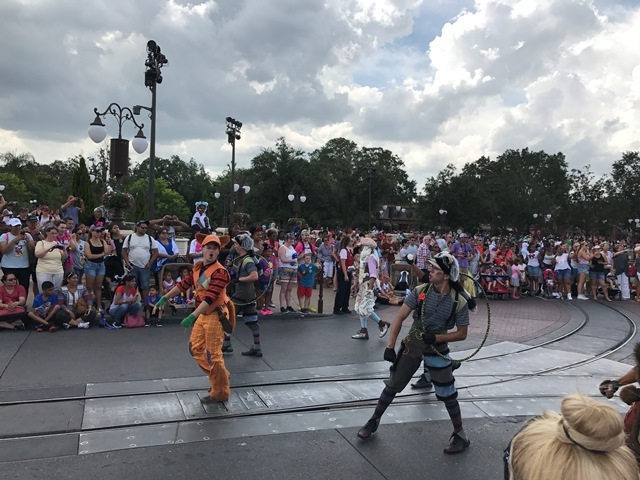 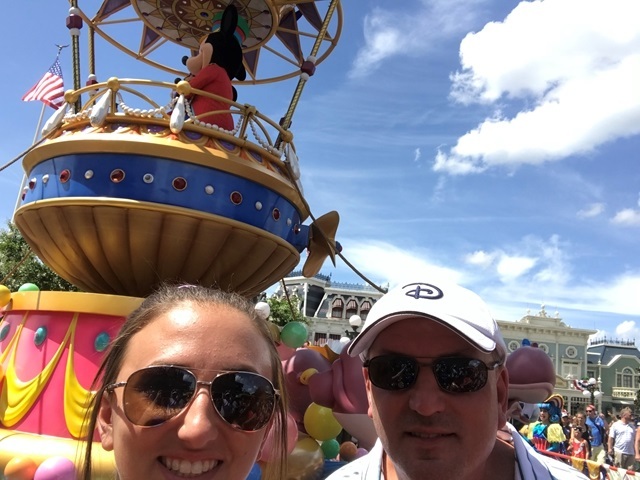 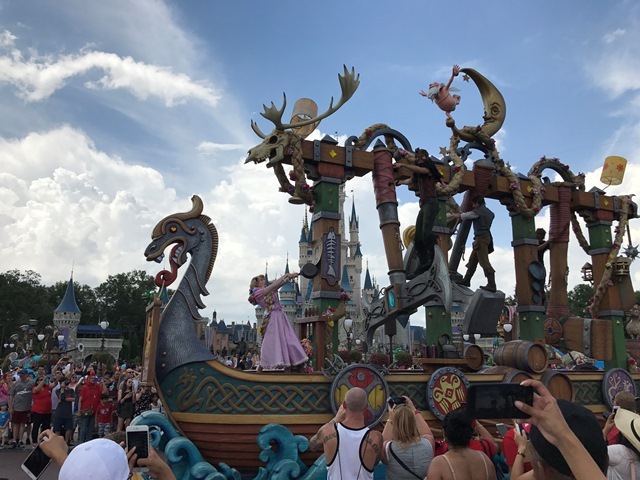 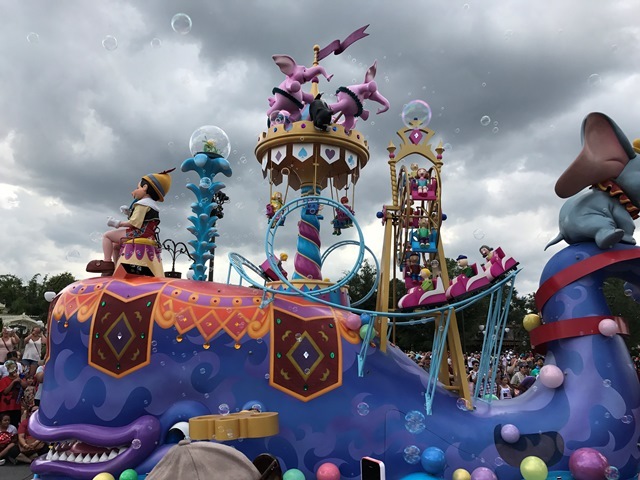 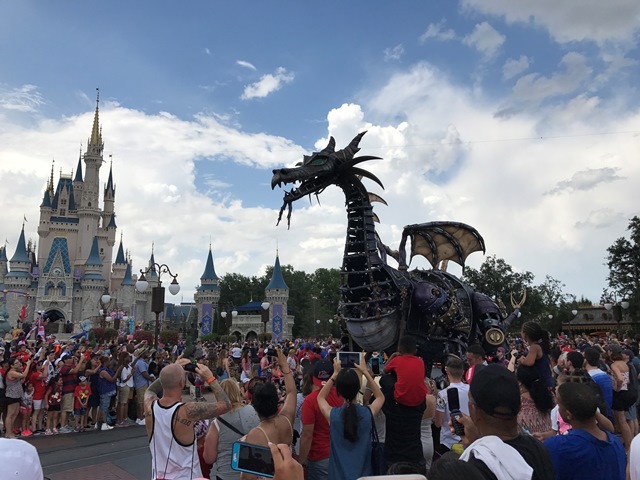 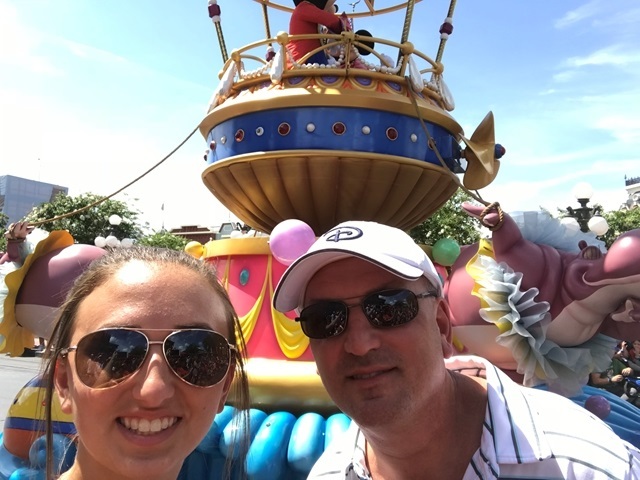 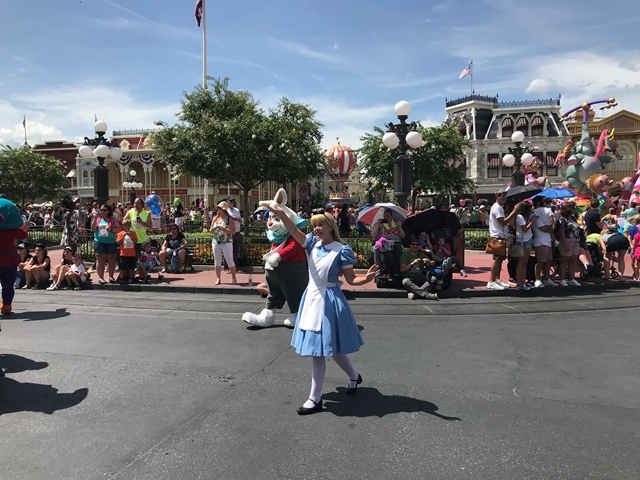 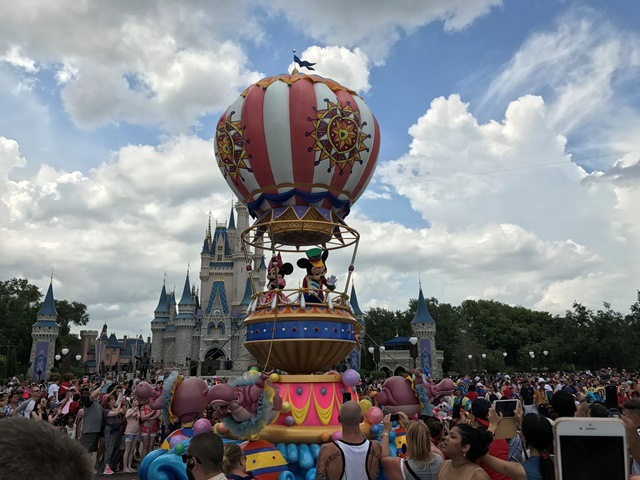 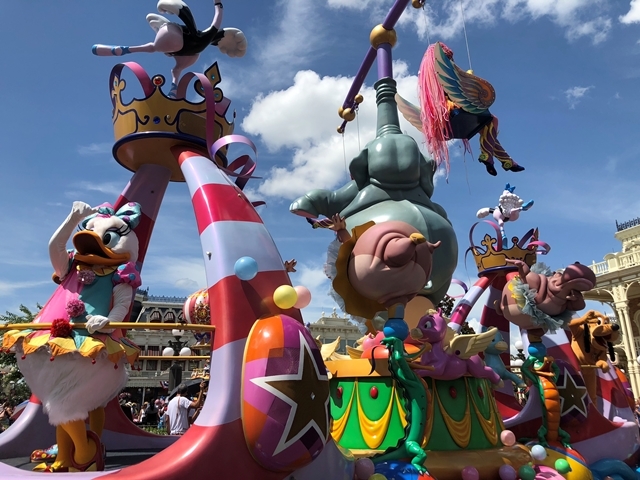 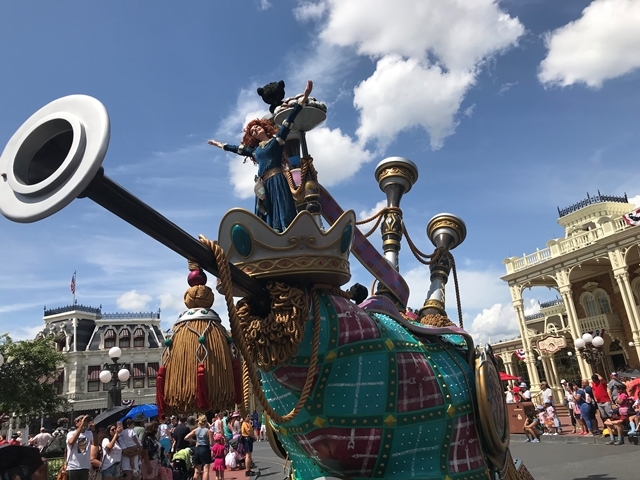 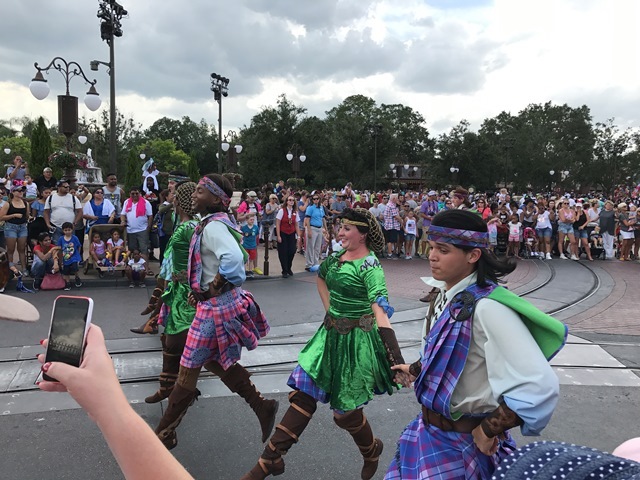 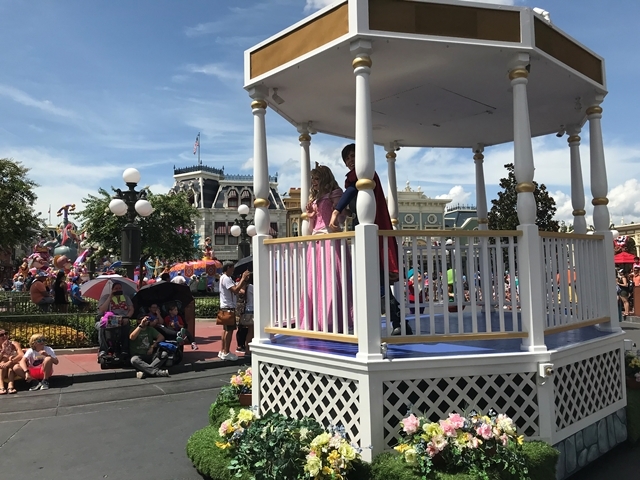 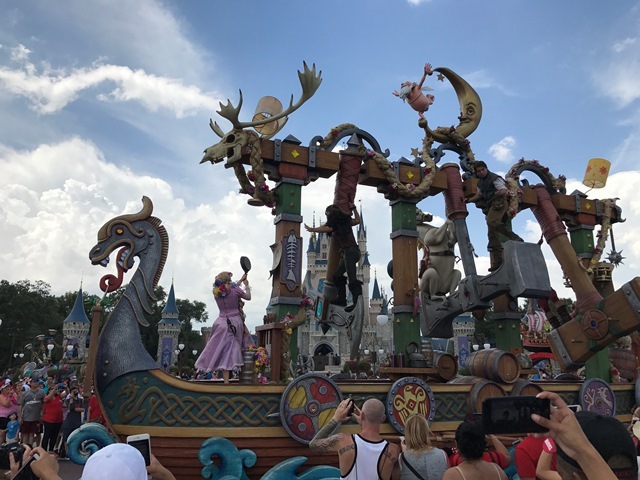 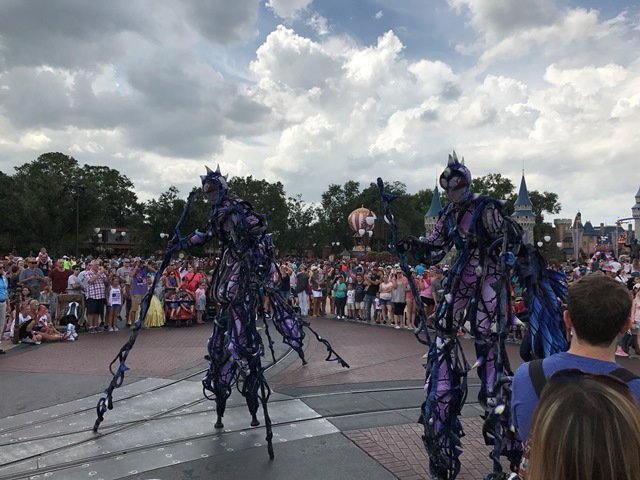 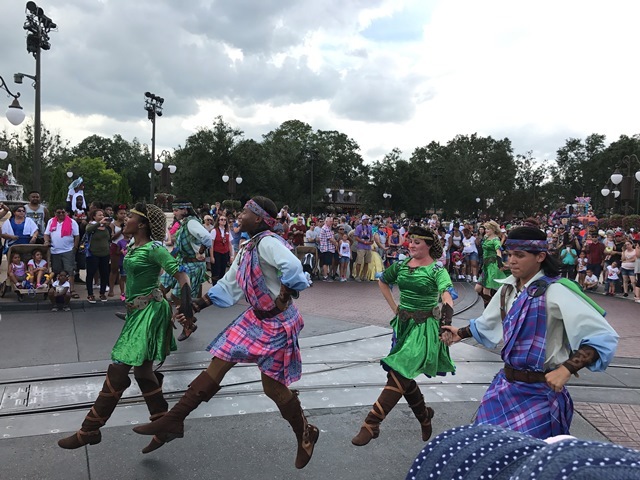 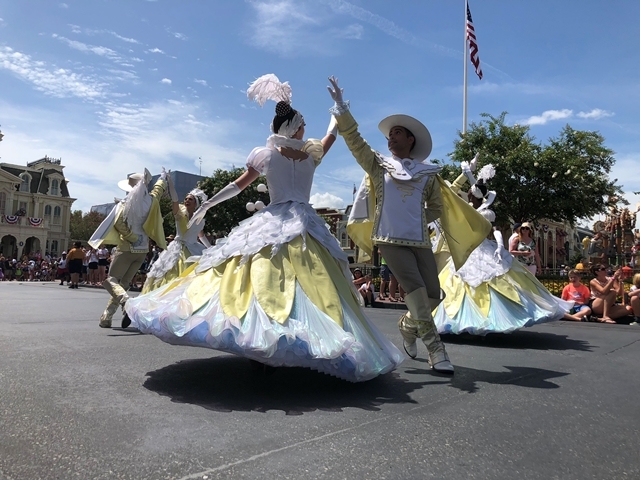 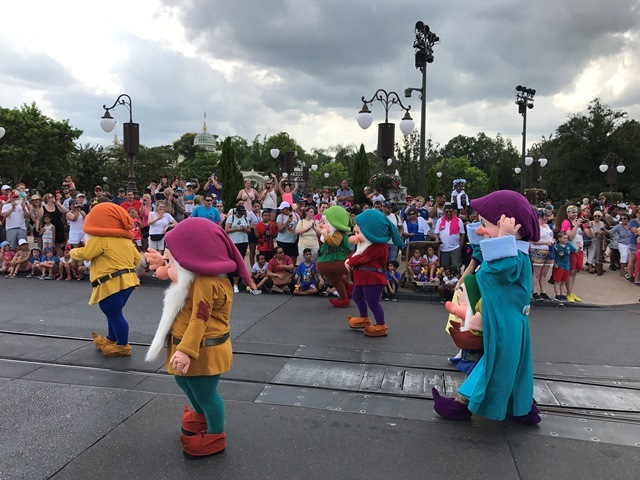 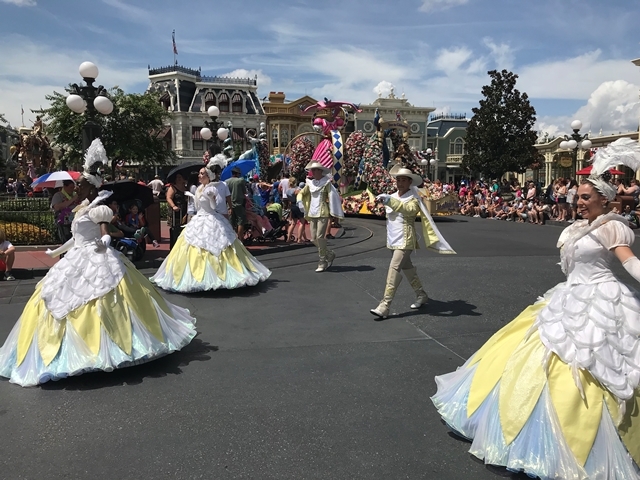 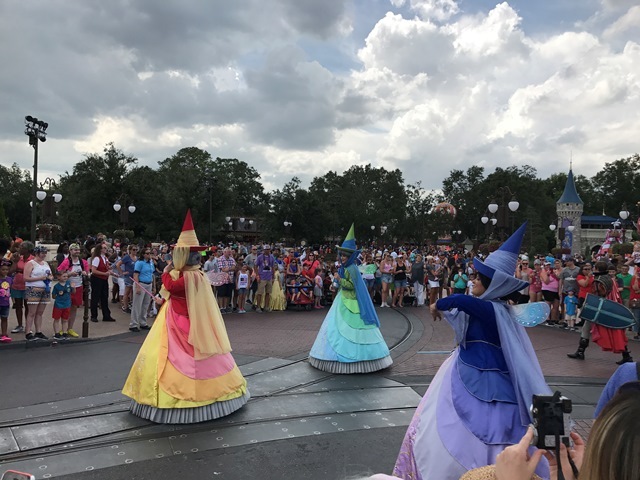 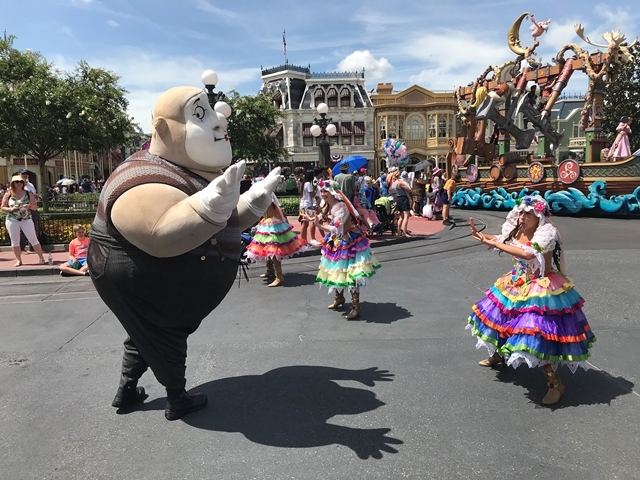 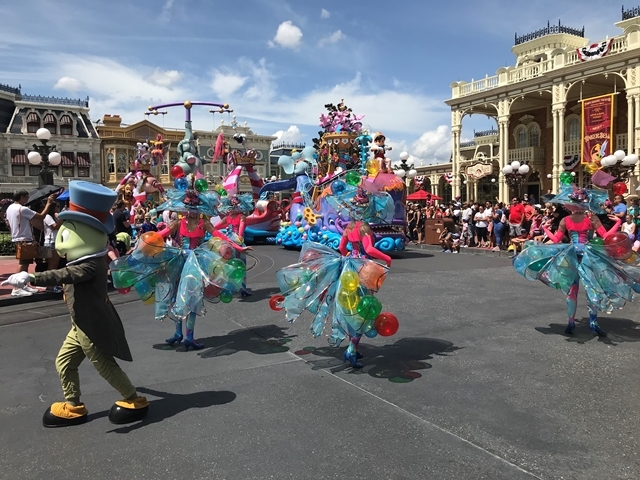 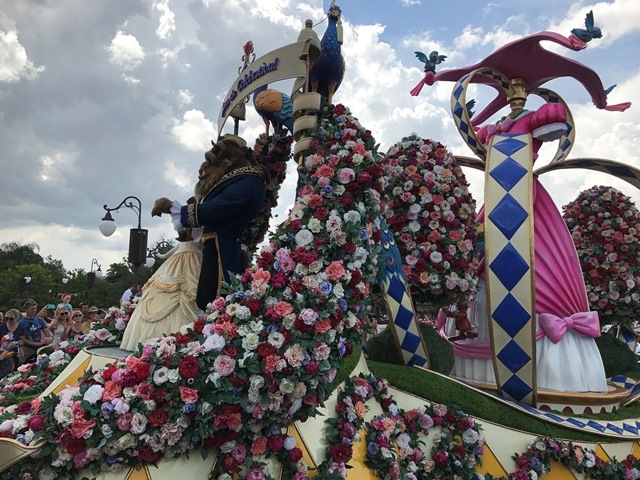 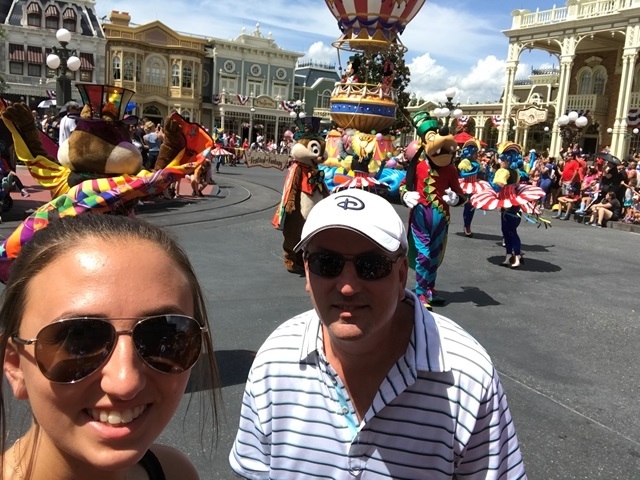 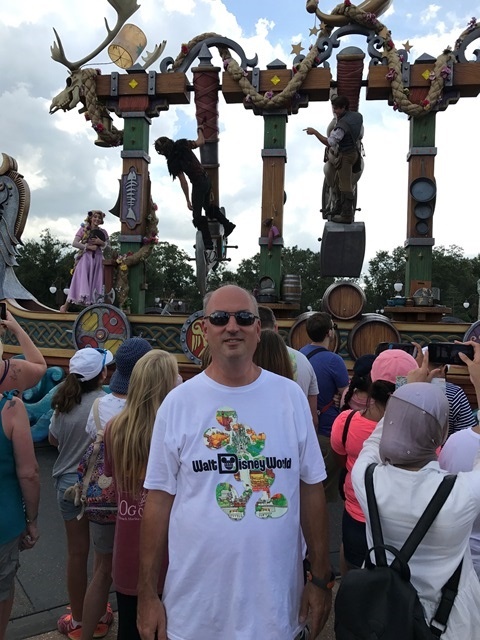 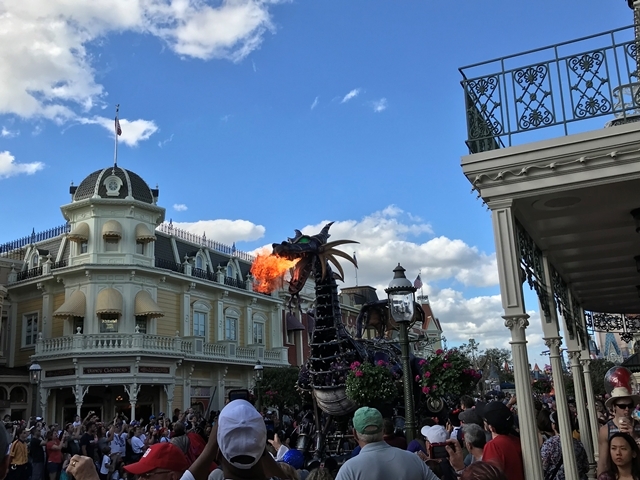 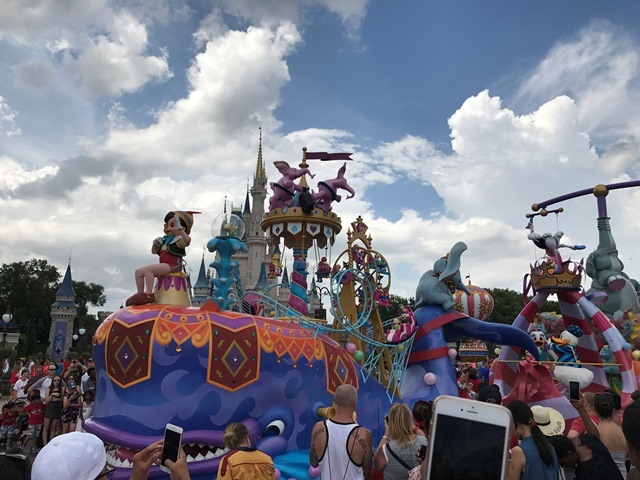 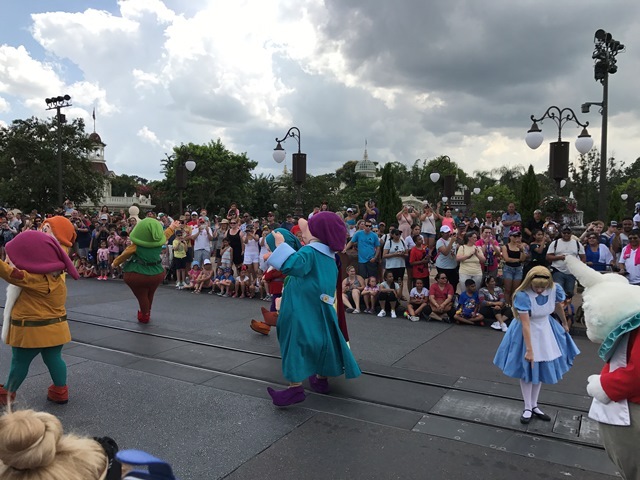 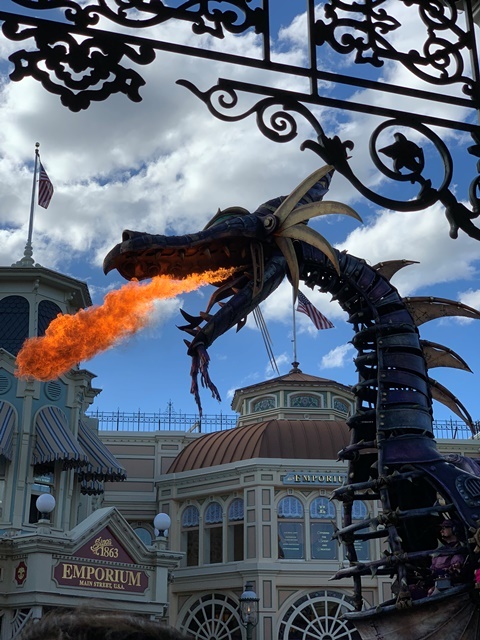 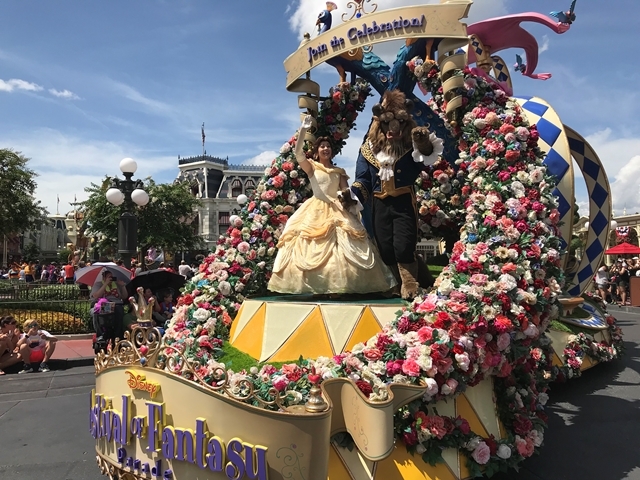 The new Disney Festival of Fantasy parade debuted at the Magic Kingdom, bringing seven massive new floats and nearly 100 costumed performers to Main Street, U.S.A.
Flynn Ryder and Rapunzel, with evil thugs swaying on pendulums. 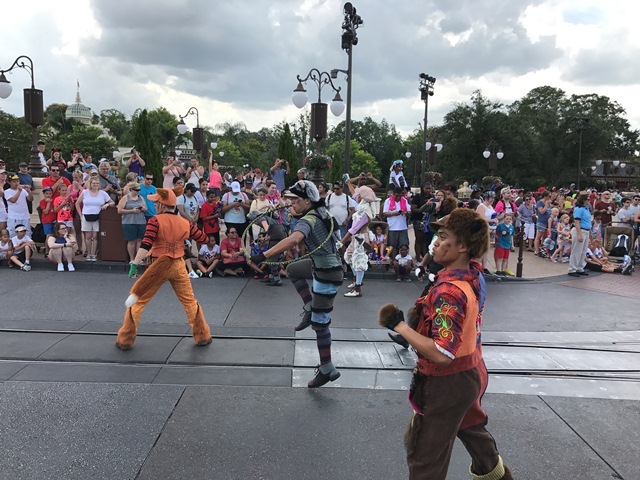 Peter and Wendy with Captain Hook. 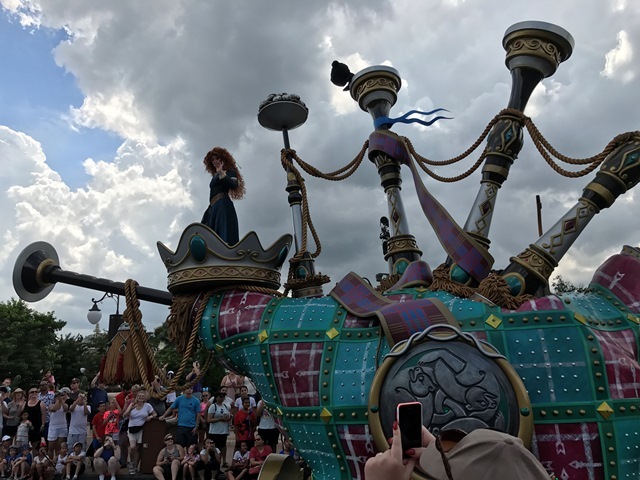 A huge bagpipe is the vehicle for Merida. 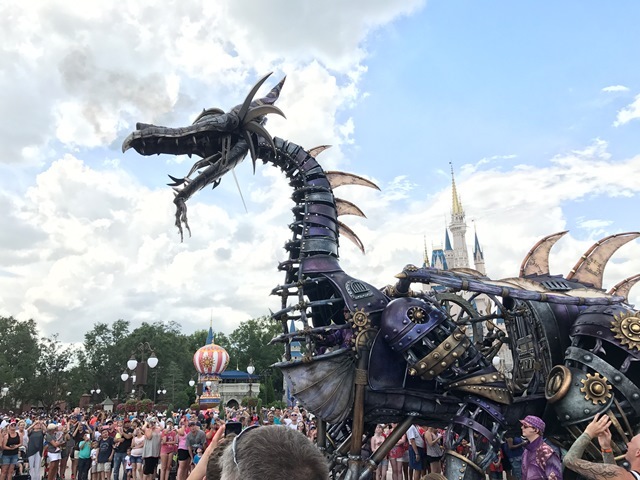 53ft long fire breathing Steampunk Dragon. 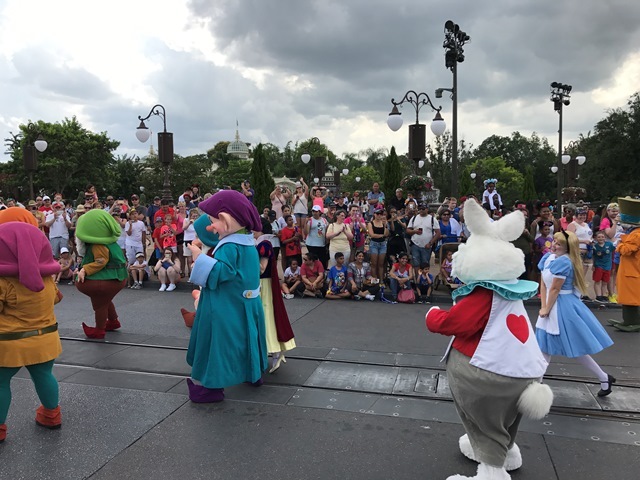 Pinocchio, Dumbo, Snow White and the Seven Dwarfs, Mad Hatter, Pluto and Mickey and Minnie.